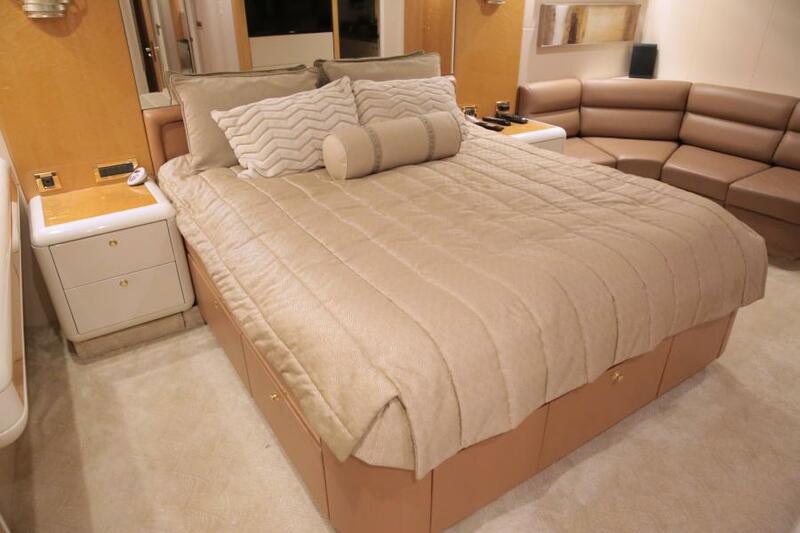 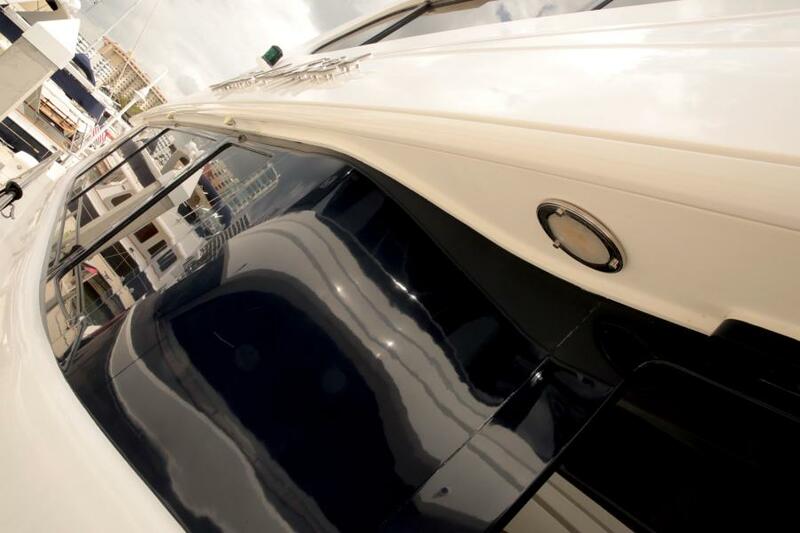 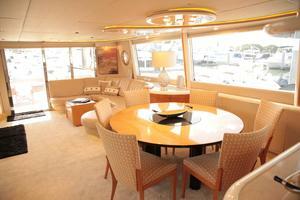 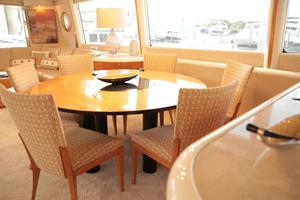 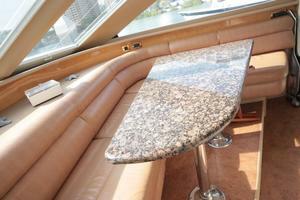 United Yacht Sales New Jersey would love to guide you through a personal showing of this 76' Lazzara 76 Skylounge 1999. 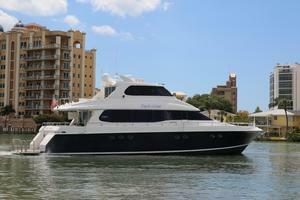 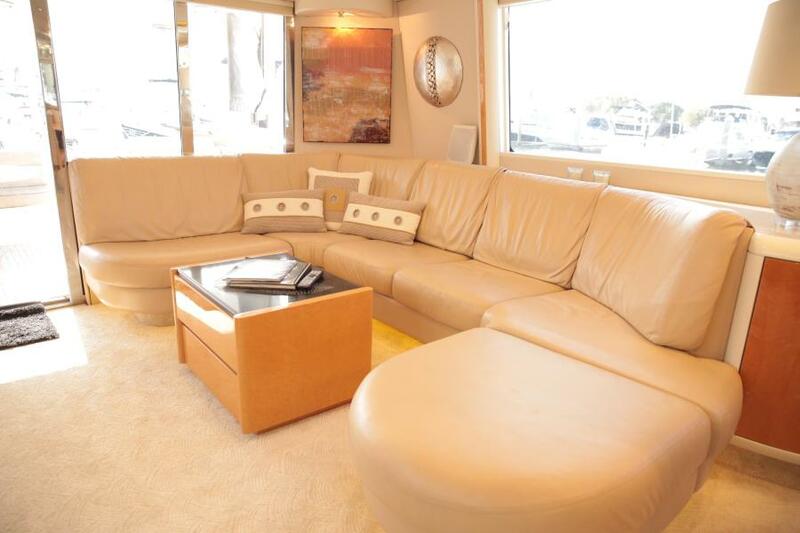 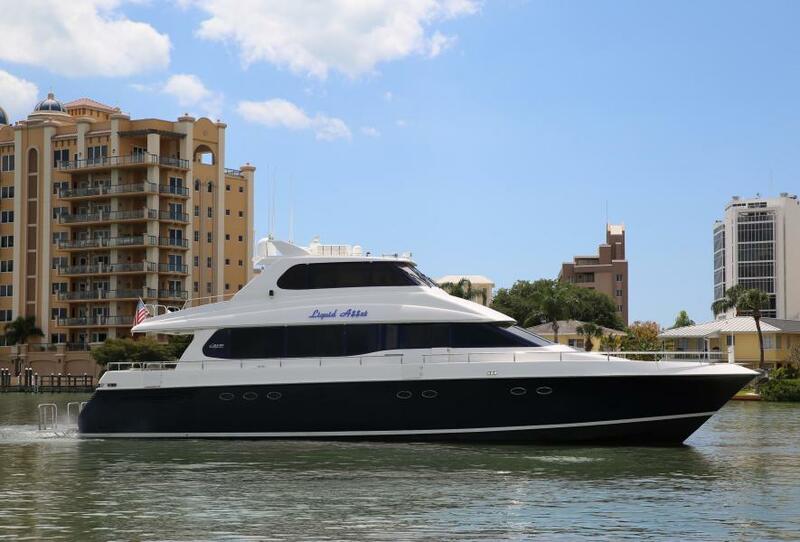 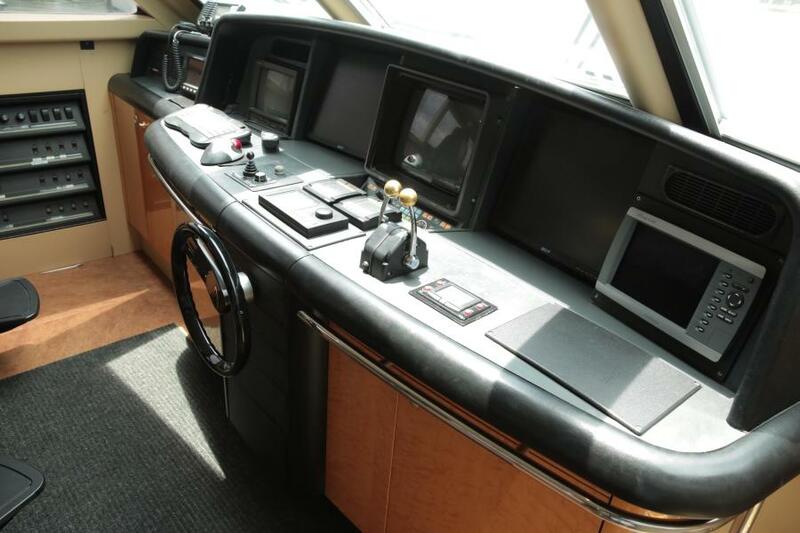 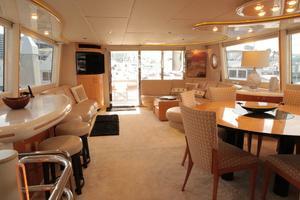 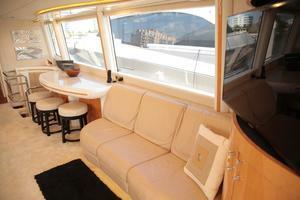 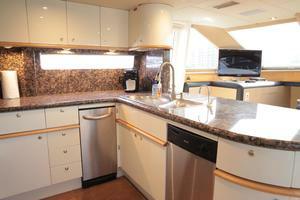 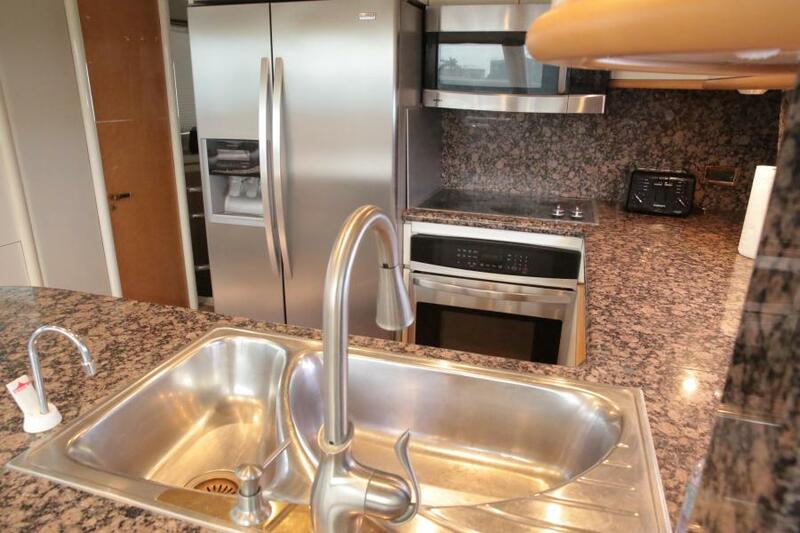 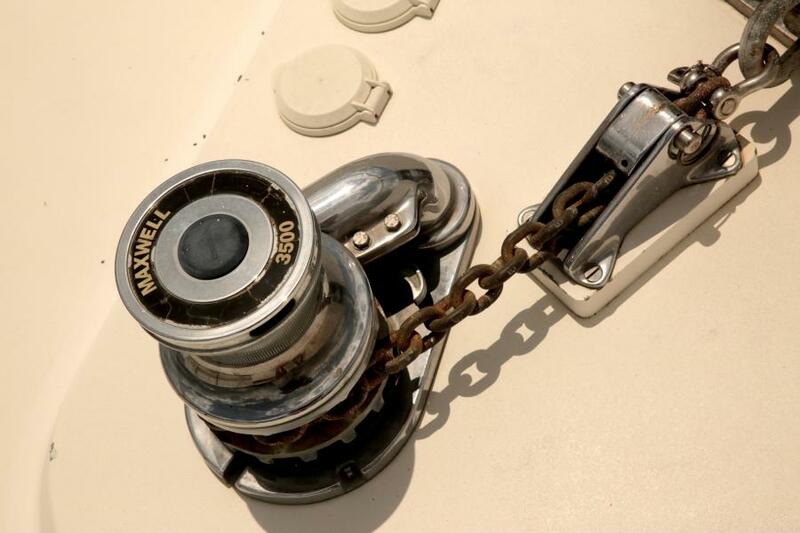 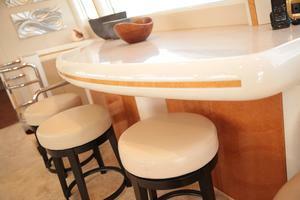 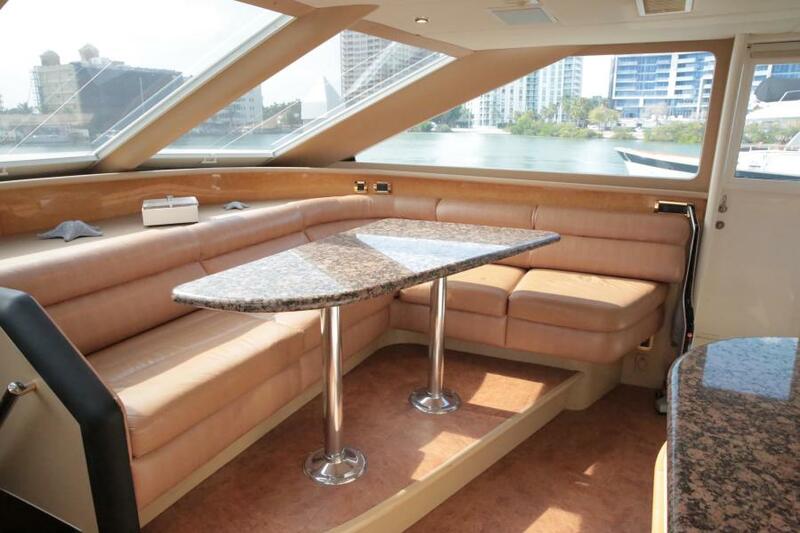 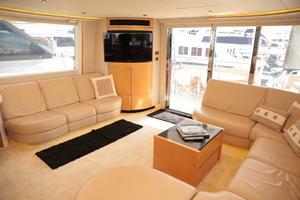 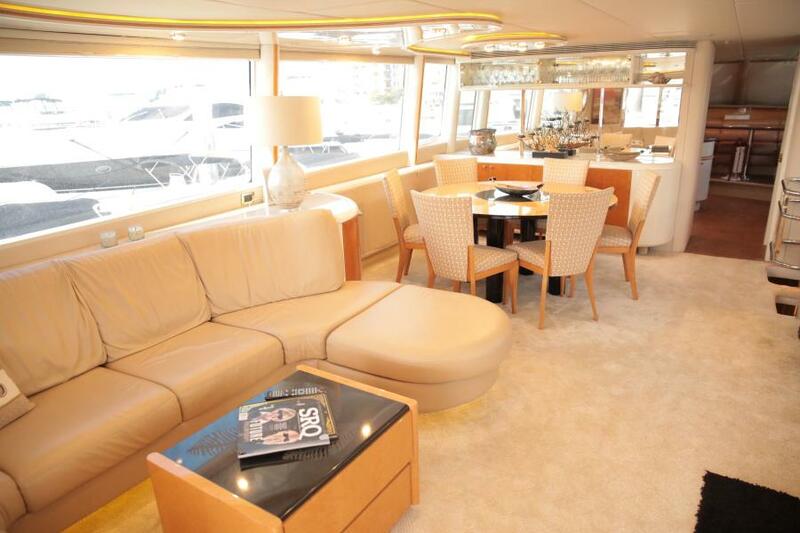 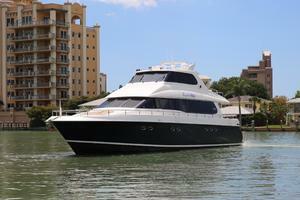 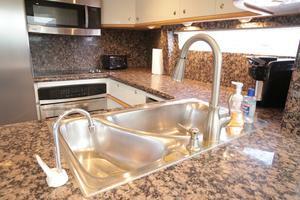 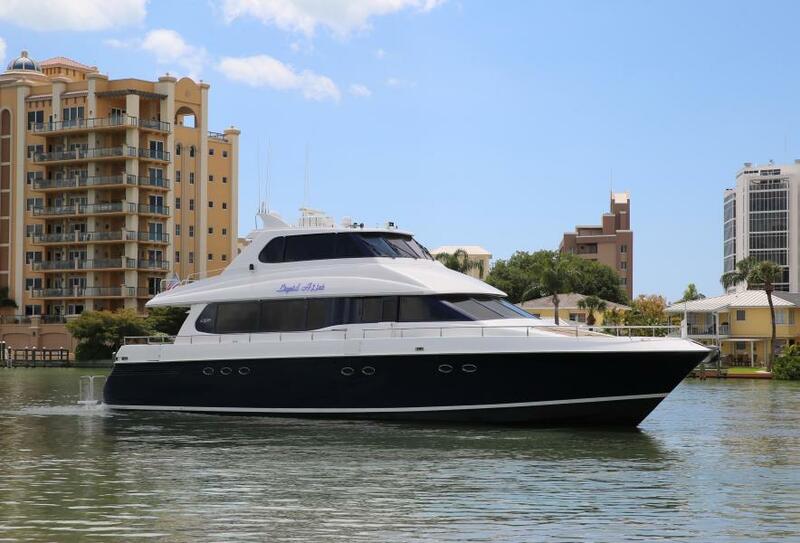 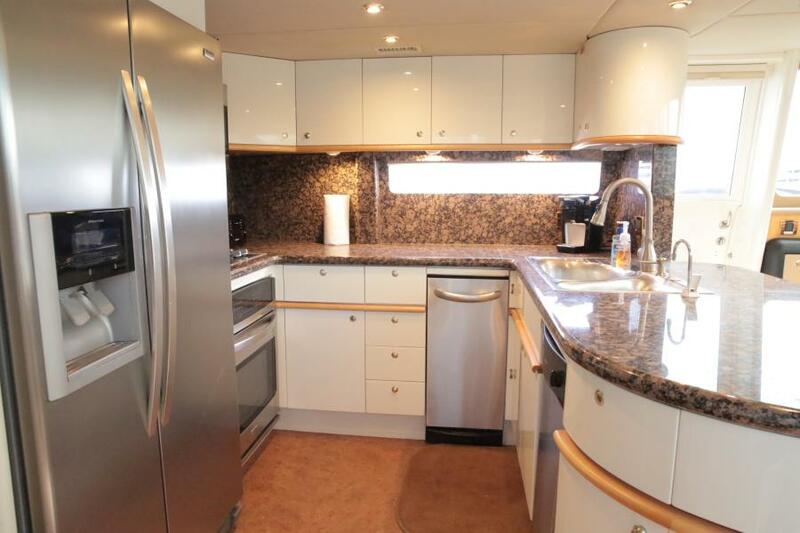 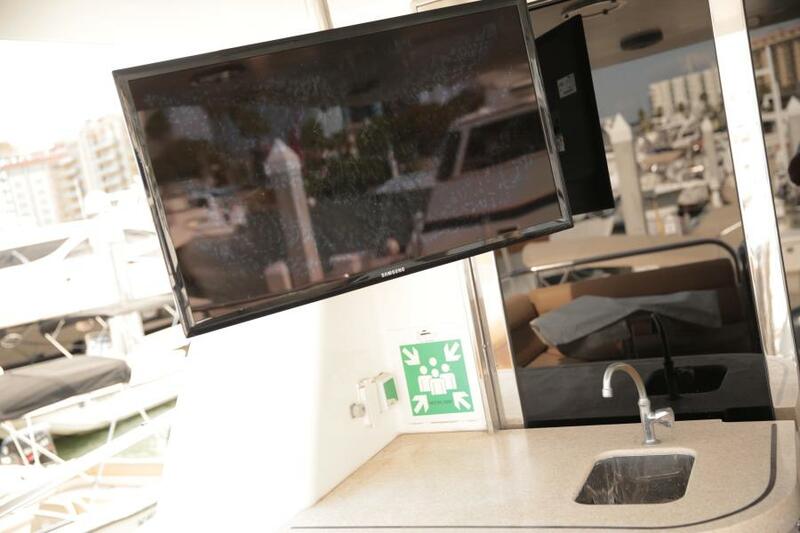 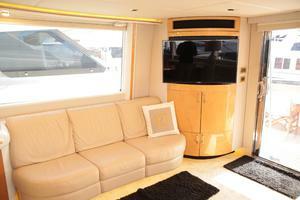 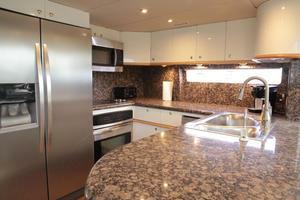 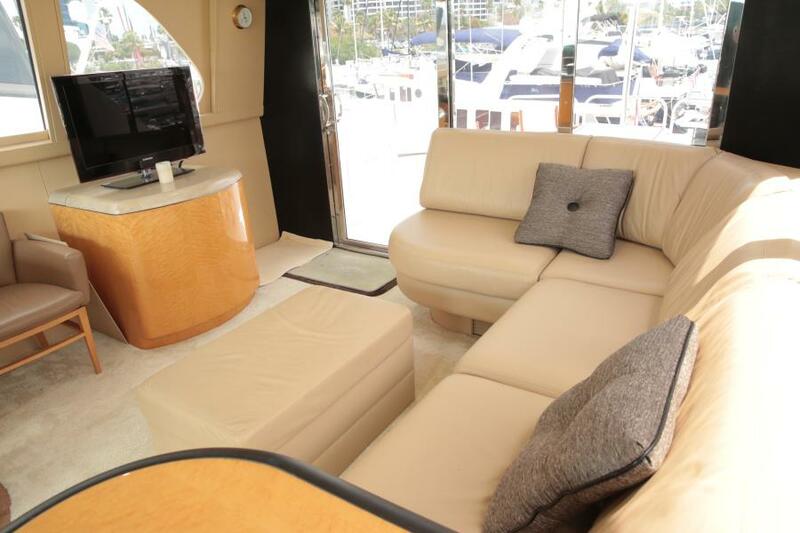 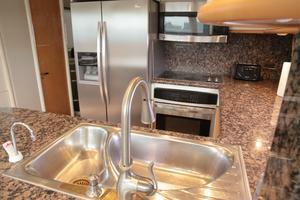 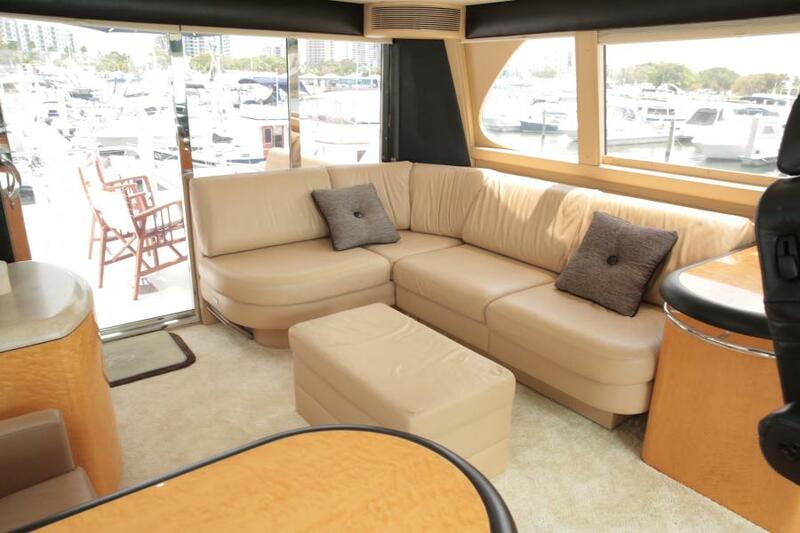 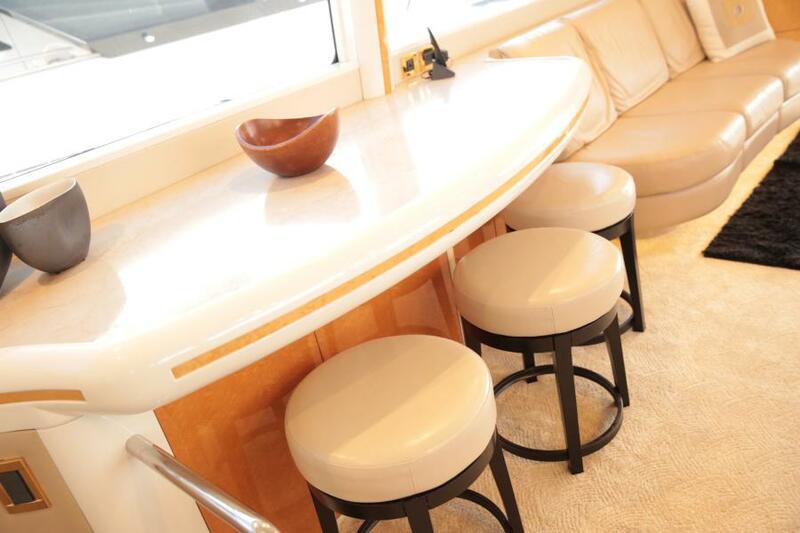 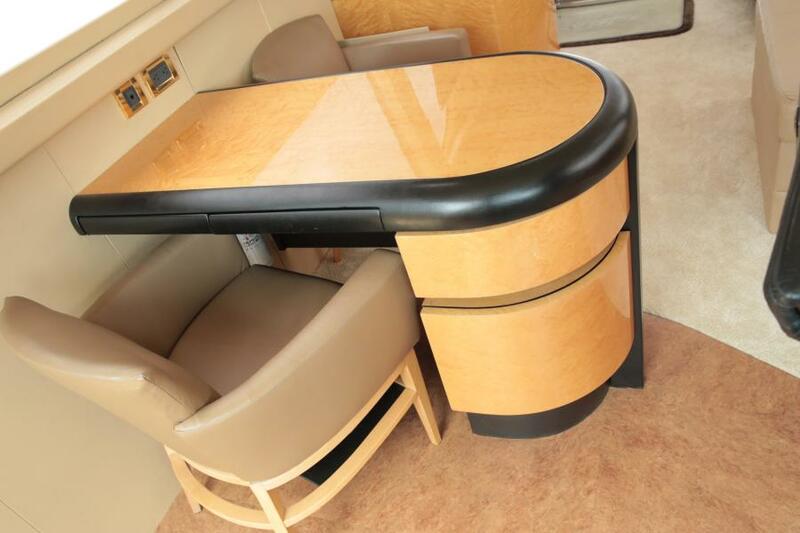 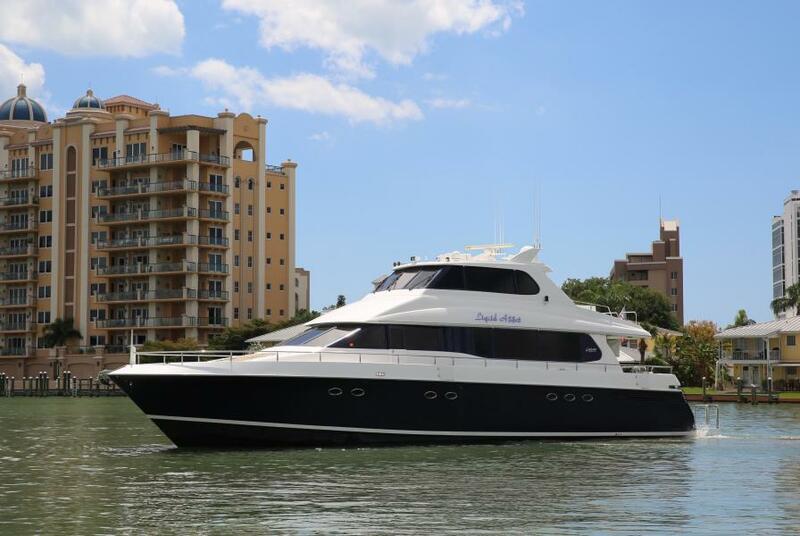 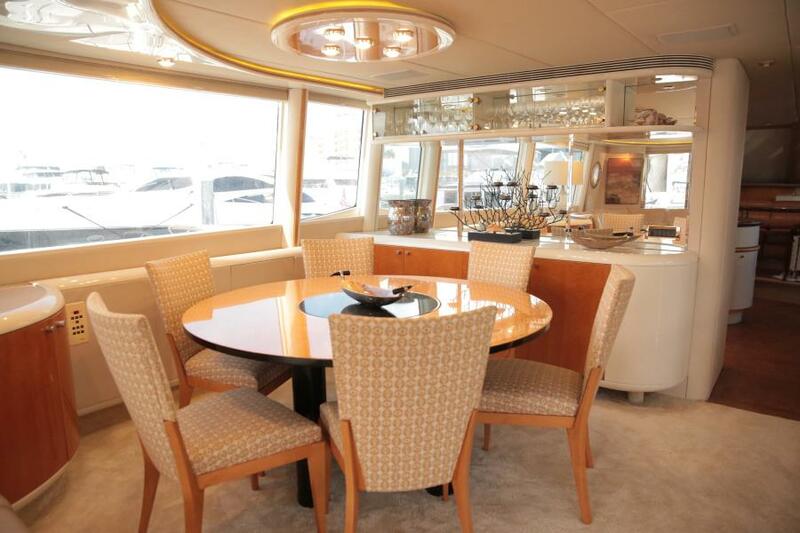 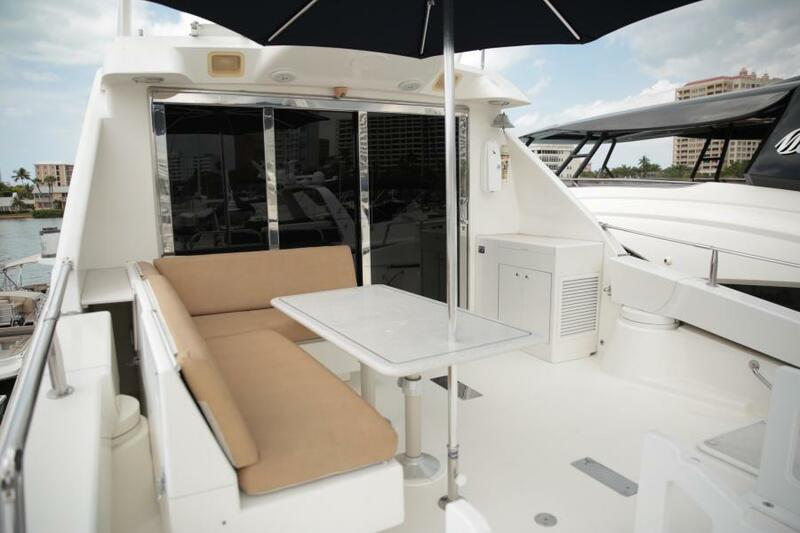 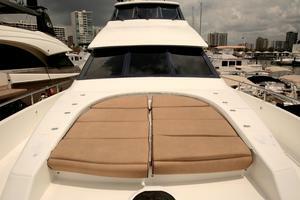 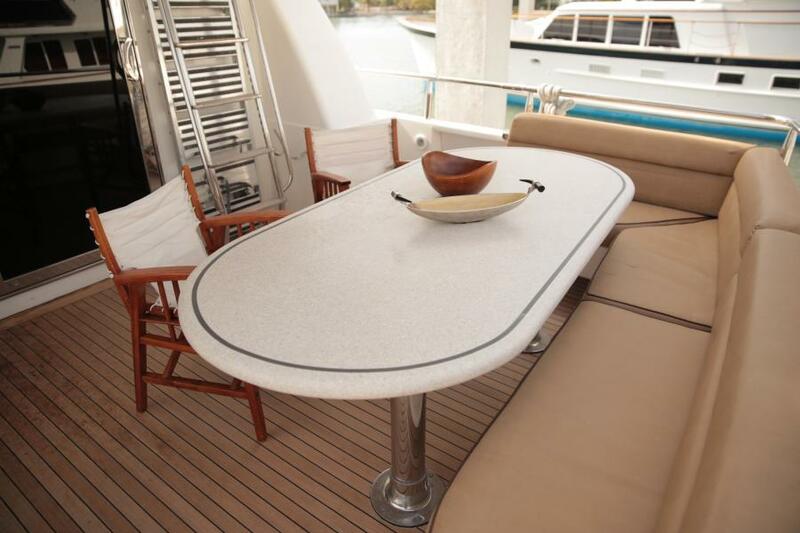 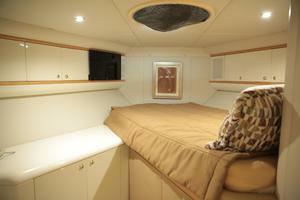 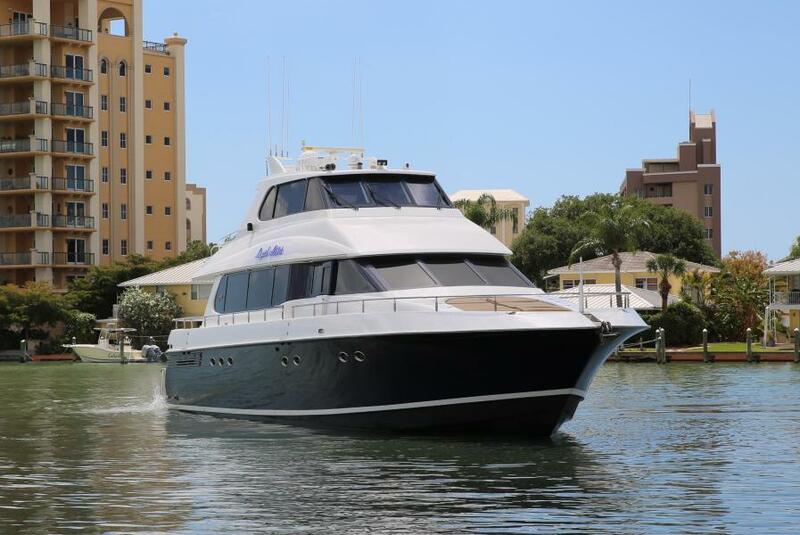 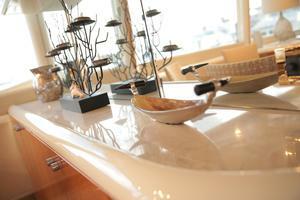 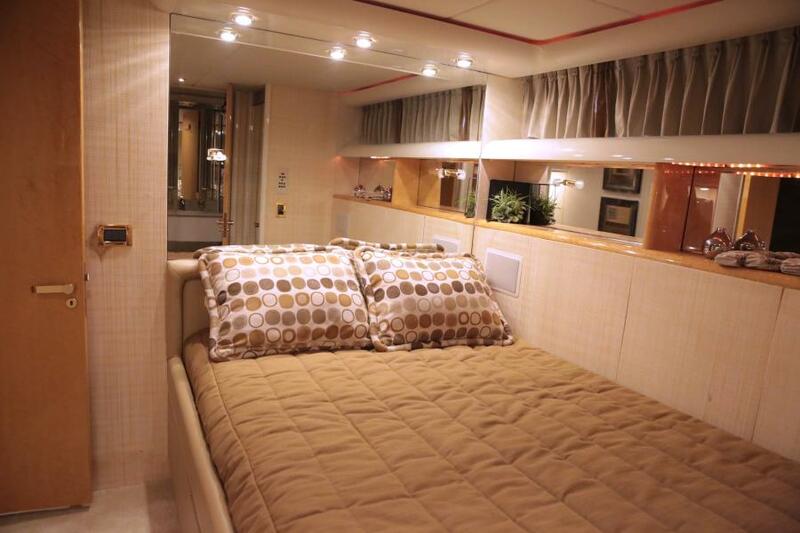 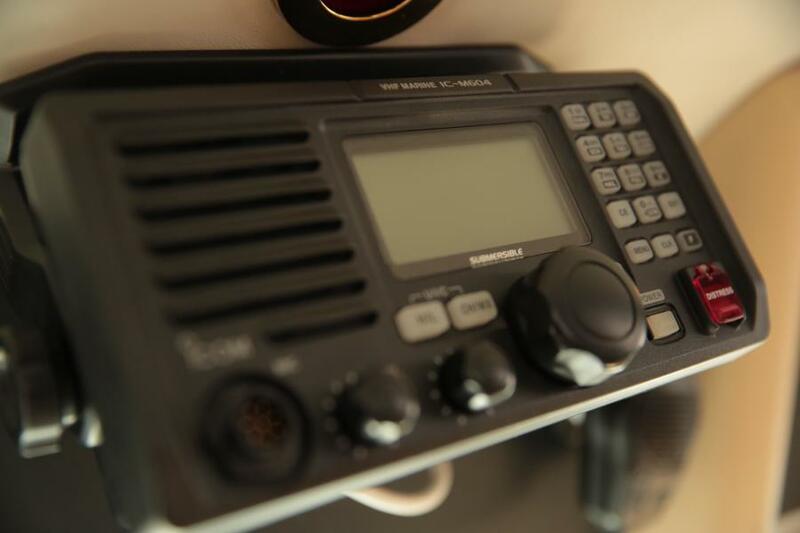 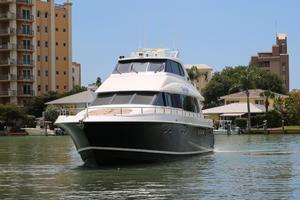 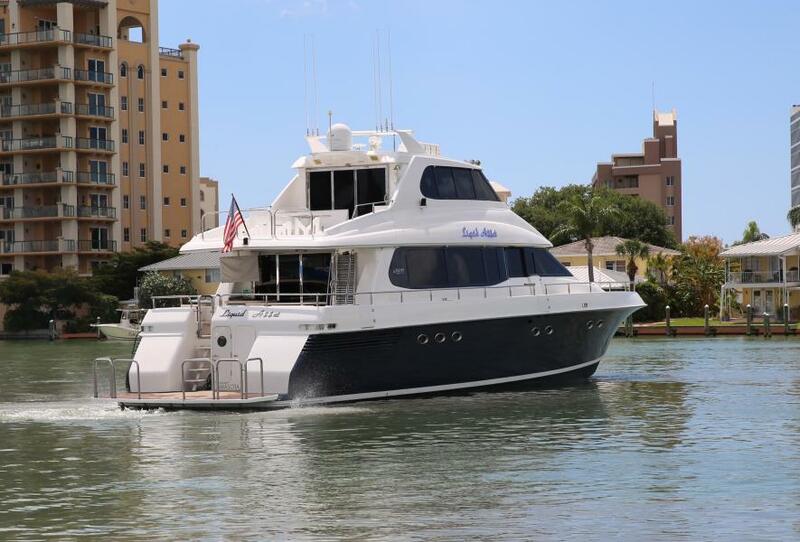 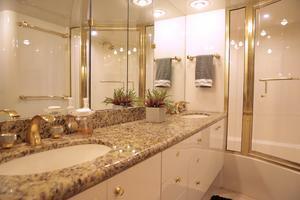 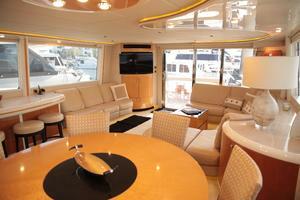 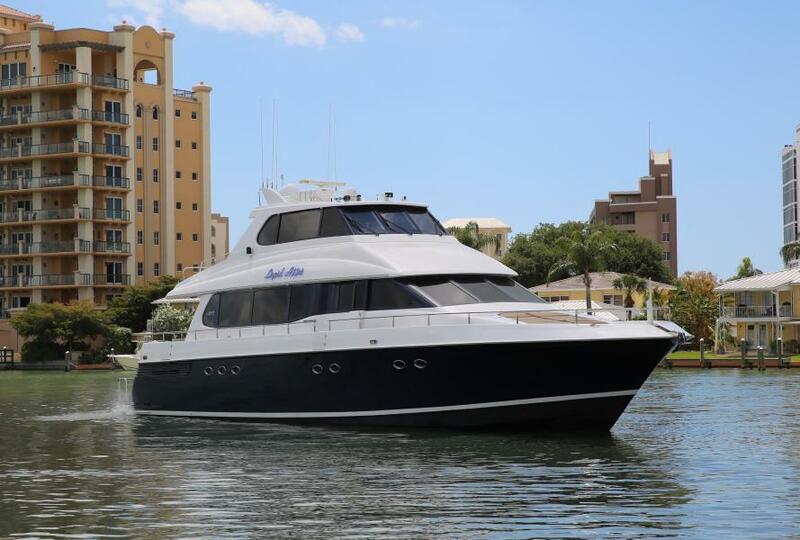 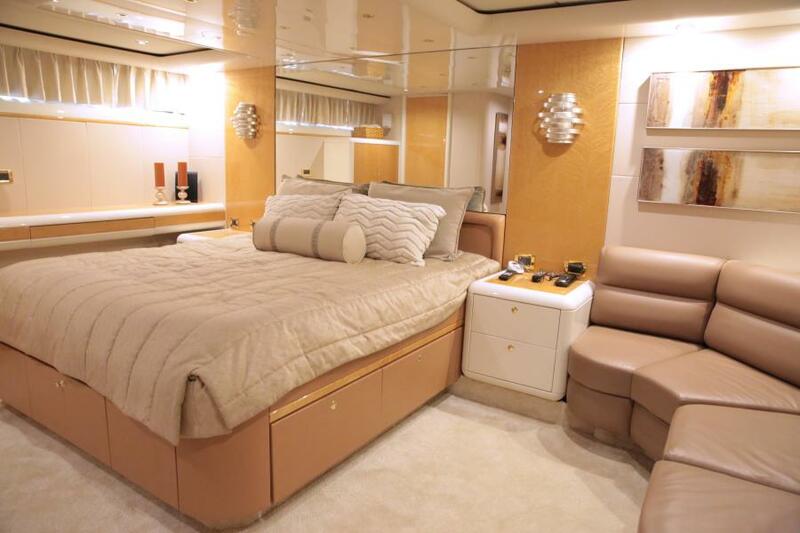 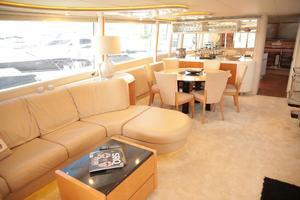 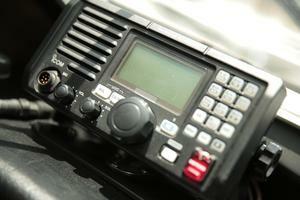 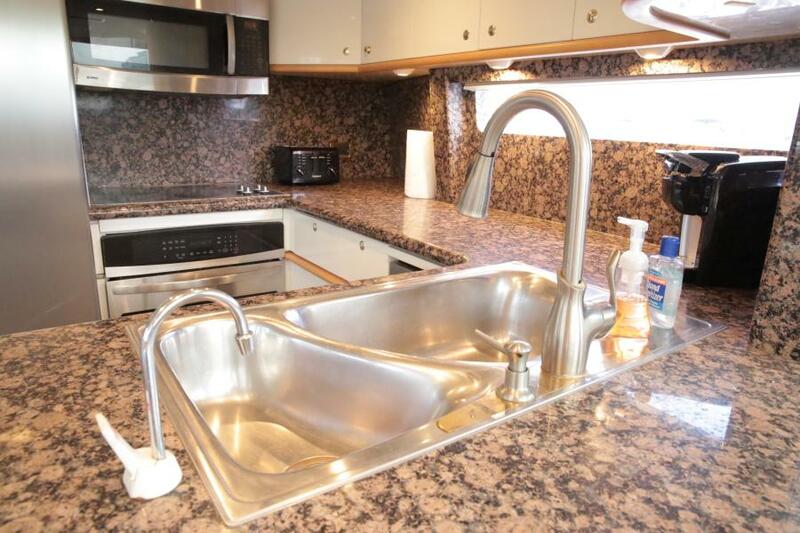 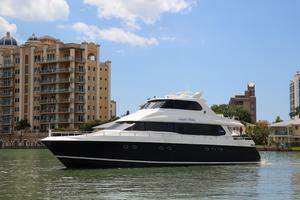 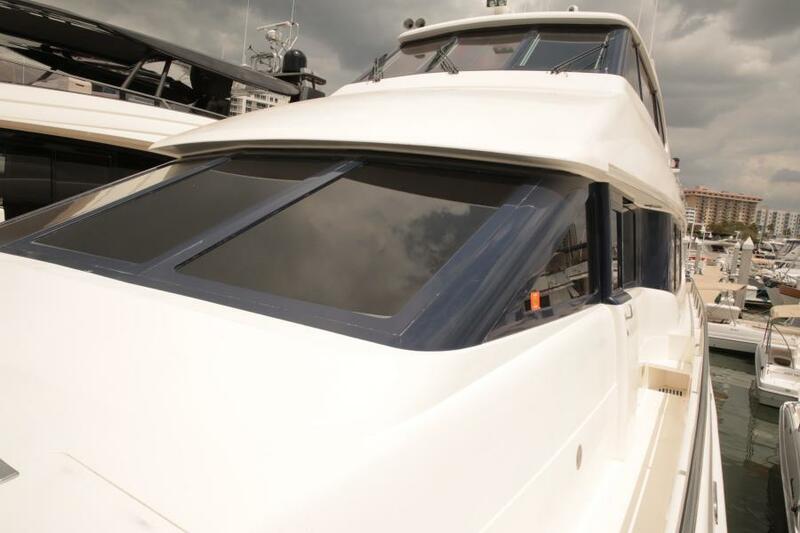 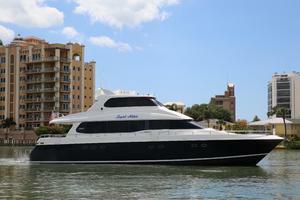 This yacht for sale is located in Sarasota, Florida and priced at $649,000. For a showing please contact us by filling out the form on this page and we will get back to you shortly! 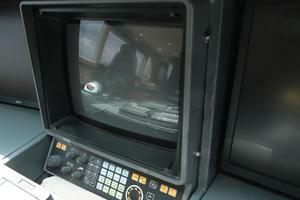 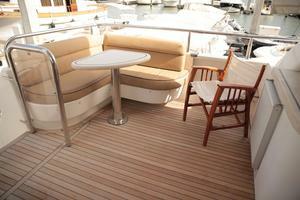 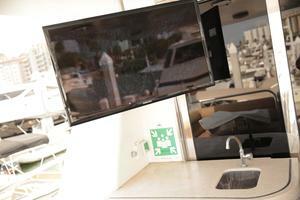 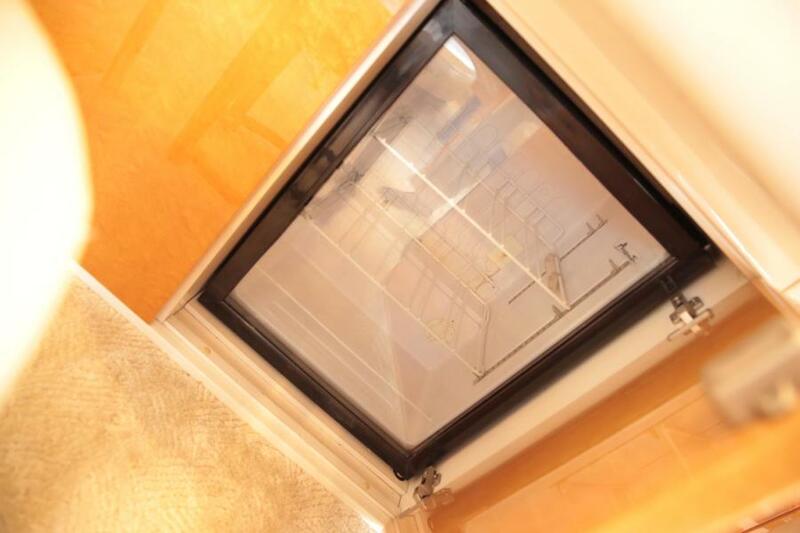 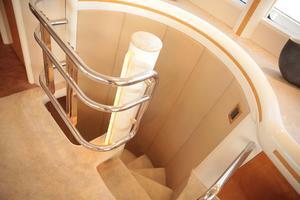 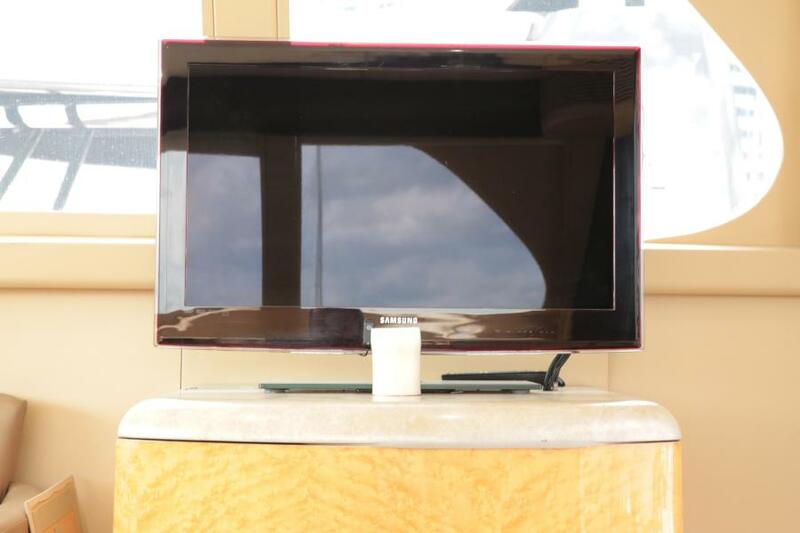 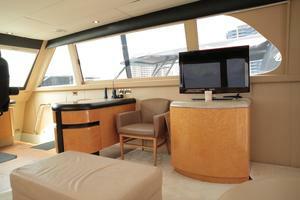 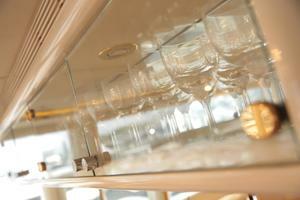 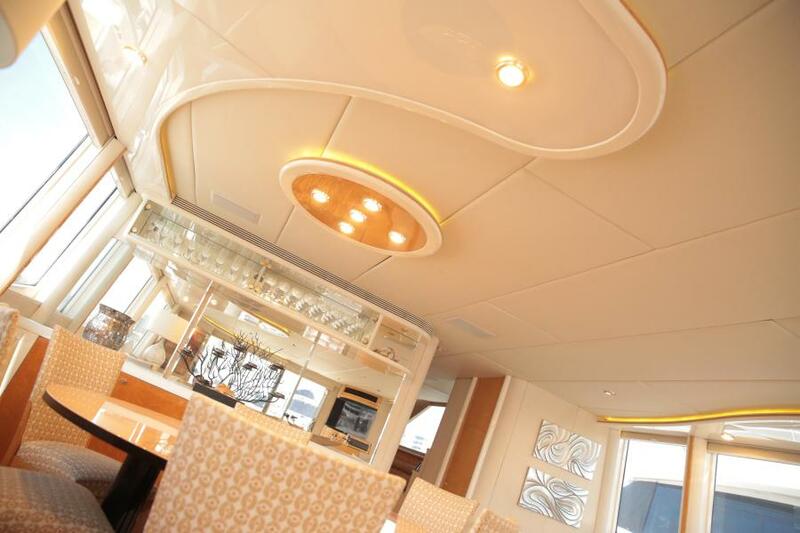 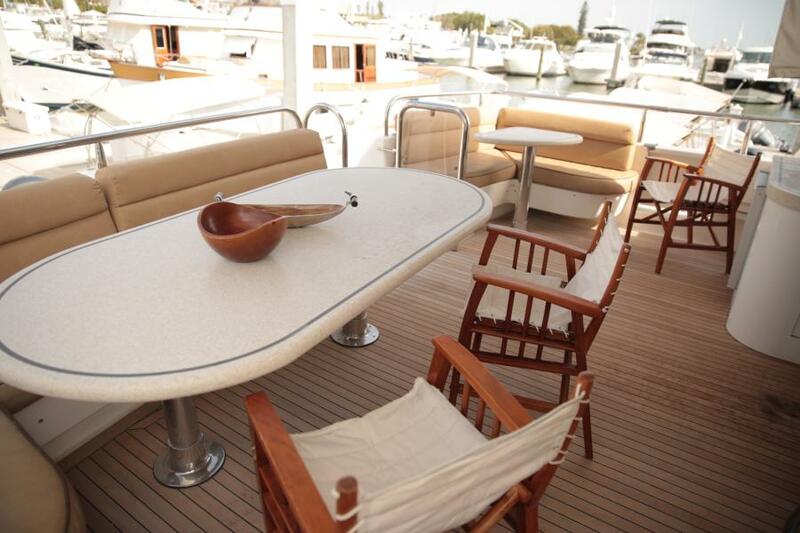 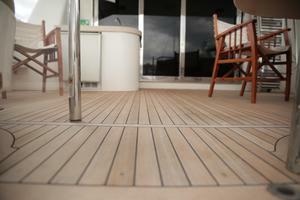 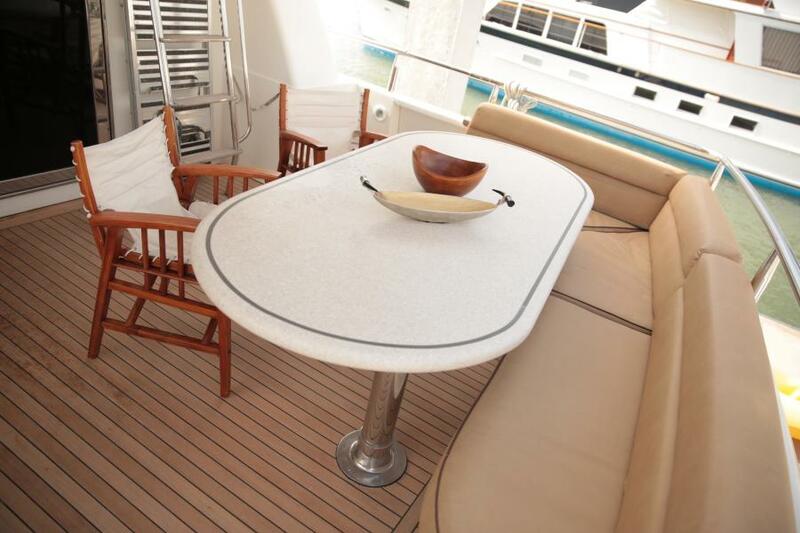 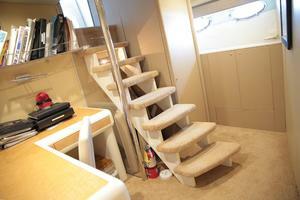 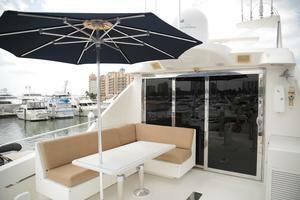 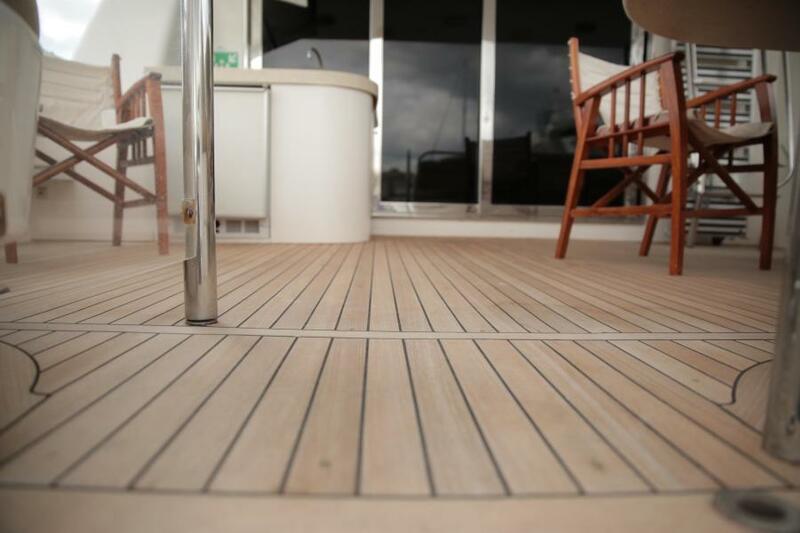 The skylounge is accessed via an interior stairway from the galley or an exterior stairway coming form the aft-deck. 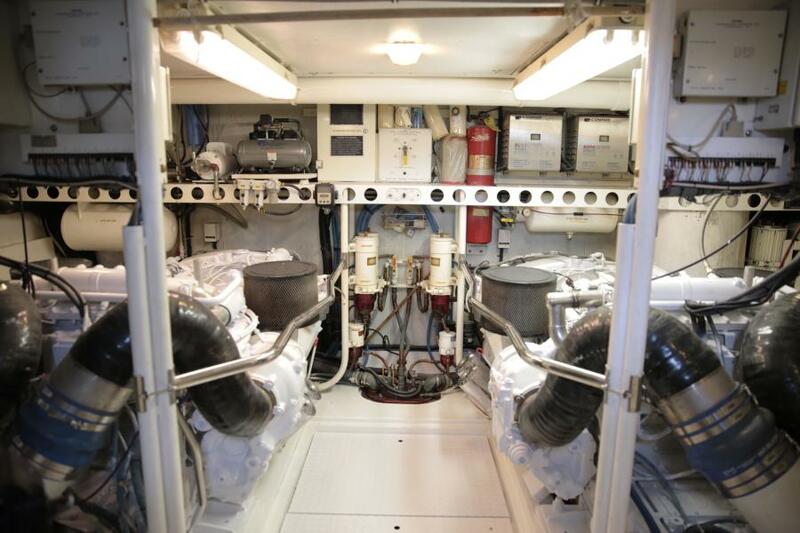 Storage beneath the helm is abundant, and also houses access to all electronics including the tower computer that operates both the navigation systems and the ISIS on-board monitoring system.An L-shaped Settee sits aft, to port, while to starboard sits a small desk which can be used for an office, or for navigation while underway.Aft of the desk/navigation area, to starboard, is a large cabinet with storage supports a 32" Samsung TV. 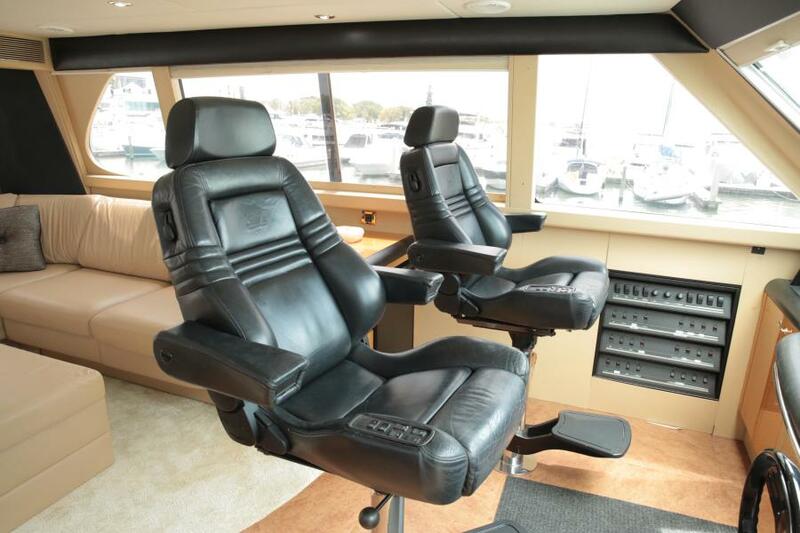 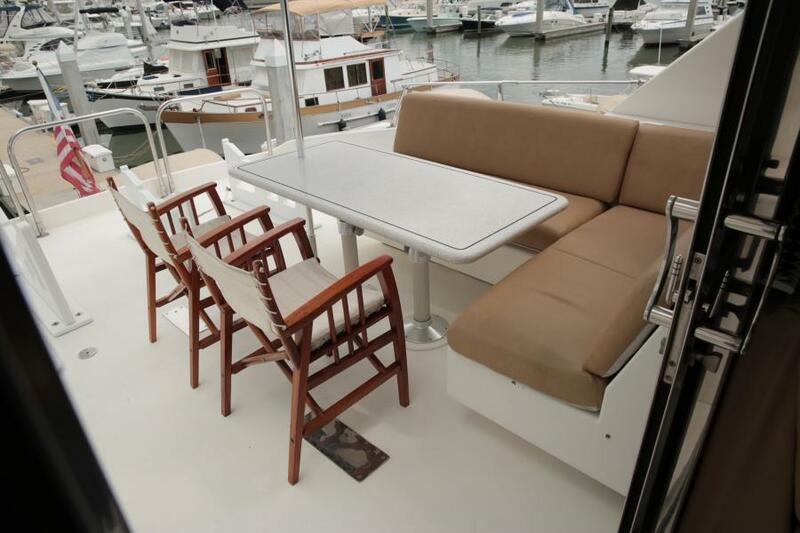 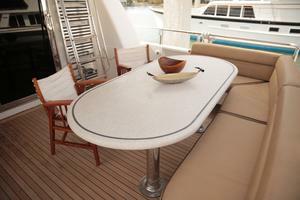 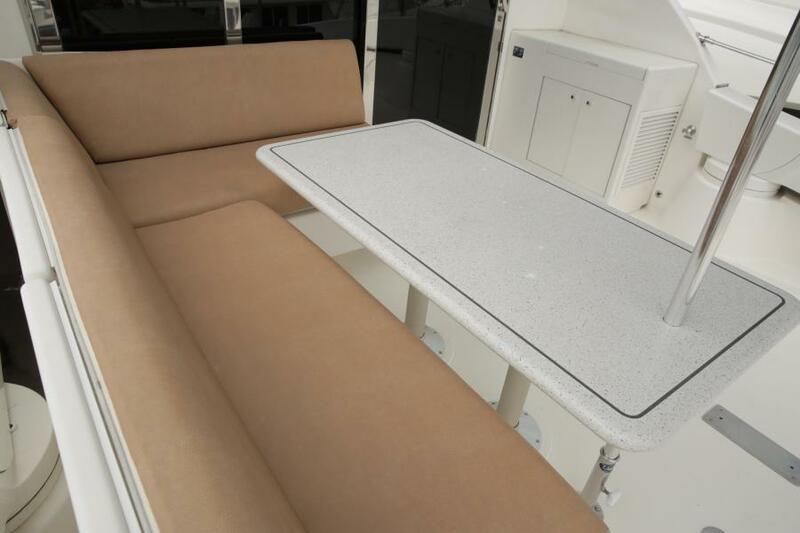 Sitting to either side are two occaisional chairs.Hunter Douglas easy-rise honeycomb blinds provide shade, as well as significant climate control throughout, including on the forward helm windows.The aft bulkhead houses a large sliding door for access to the rear deck, where a large table and chairs with custom navy umbrella provides seating for 6 people. More once the teak chars are set around the outside of the table. 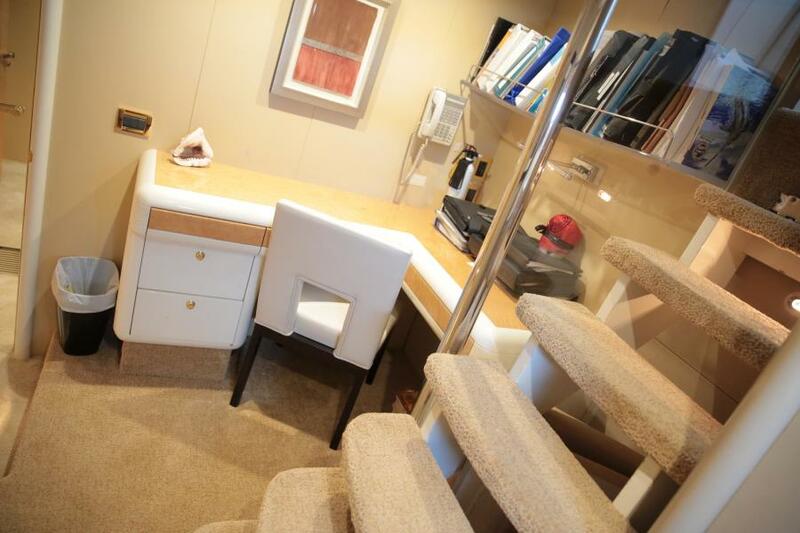 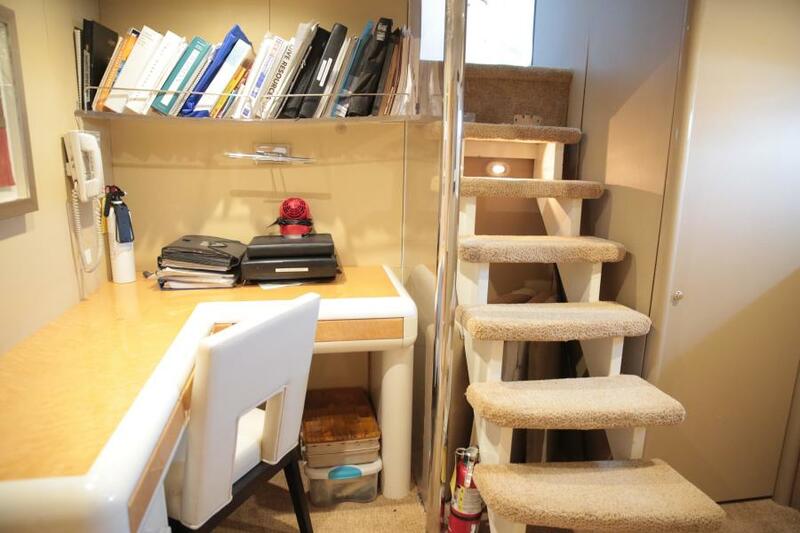 The crew quarters are accessed via a staircase forward and outboard to port.Upon descending, you enter the office with a desk to starboard, and crew pantry, over/under washer dryer space along the stairwell wall and a Corian countertop along the outboard wall.There is plenty of library and drawer storage for boat manuals and such, with a comfortable desktop to work at as well.AccommodationsThe generous crew area can easily be utilized as fourth and fifth guest staterooms if desired.The captain's quarters boasts a double bed, with en-suite head and shower, and the crew cabin offers over-under bunk style berths. 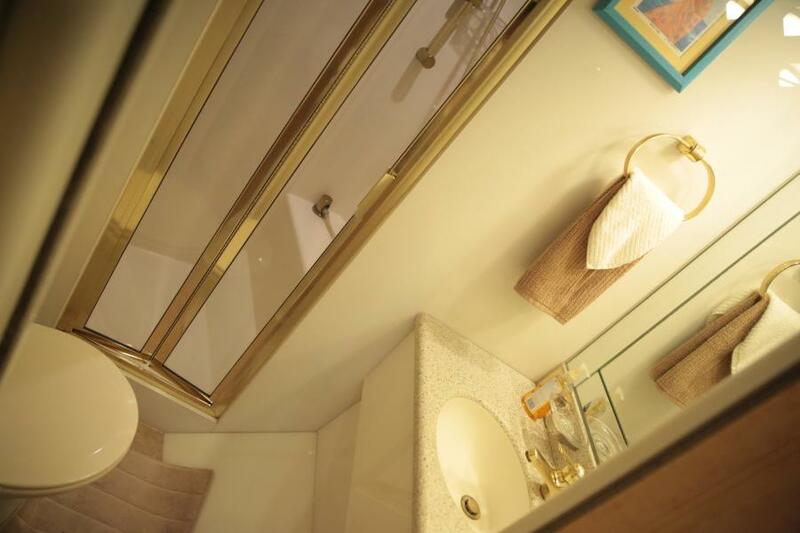 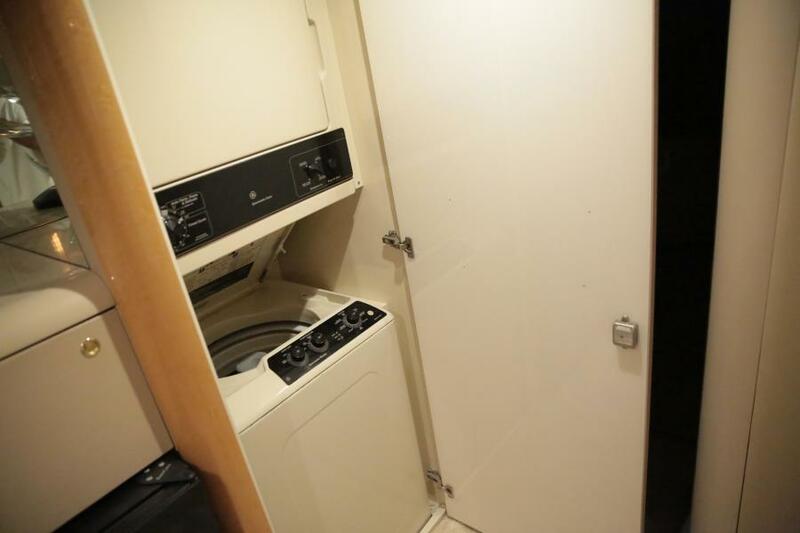 Both rooms have ample drawer storage, and a decent size hanging locker as well. 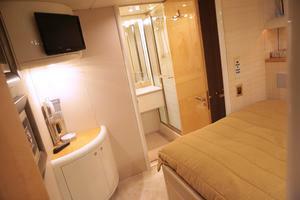 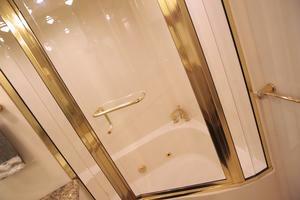 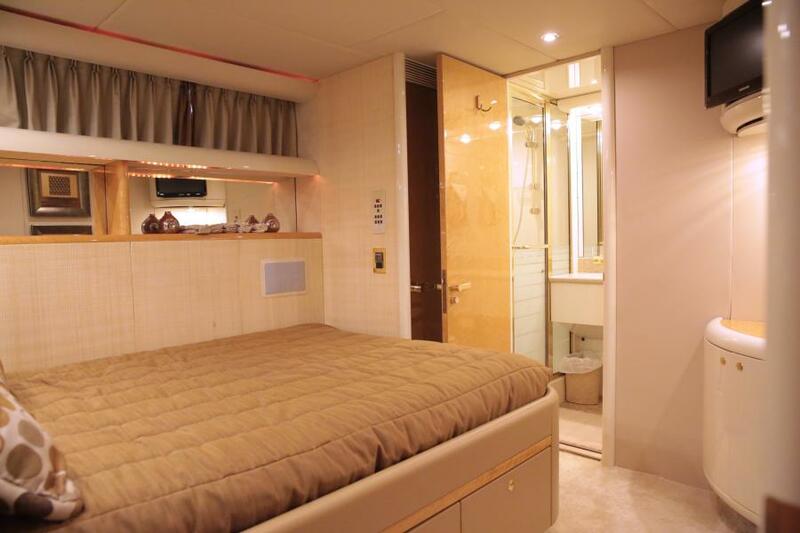 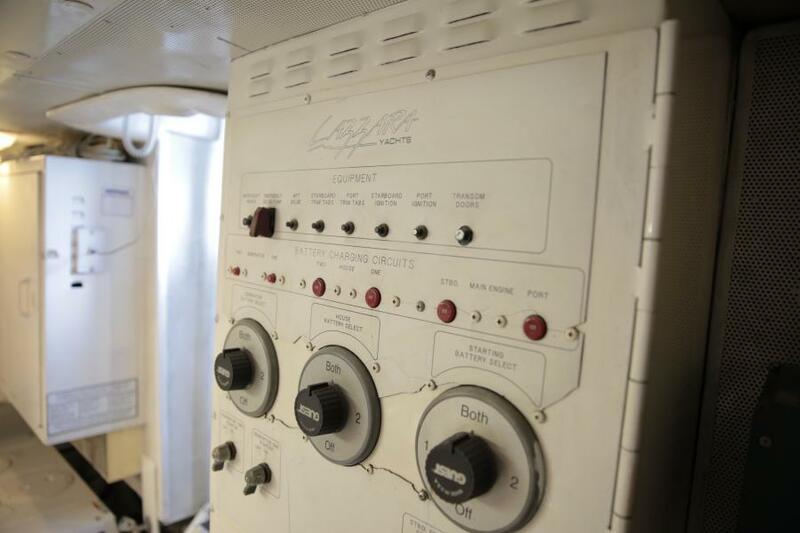 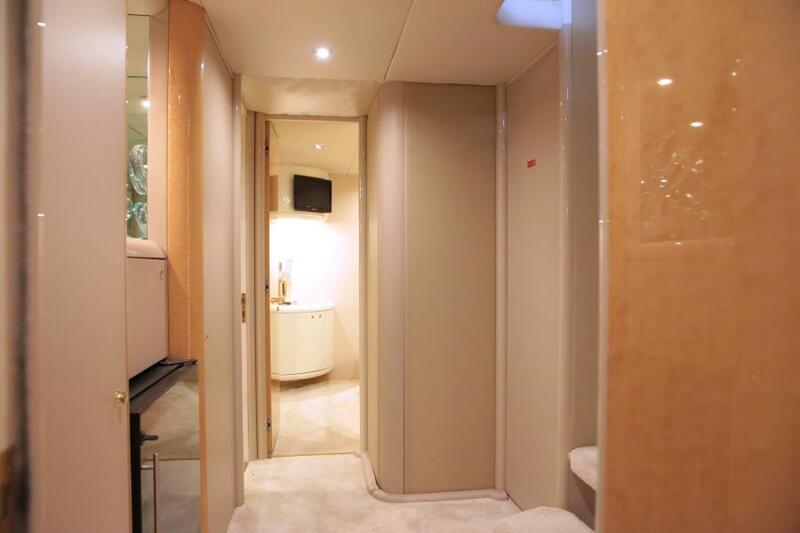 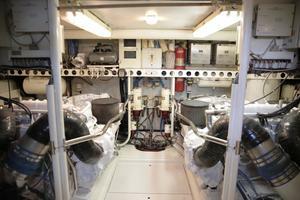 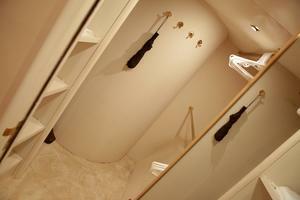 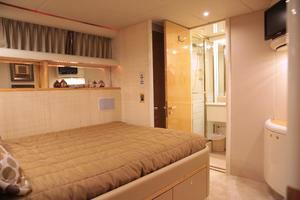 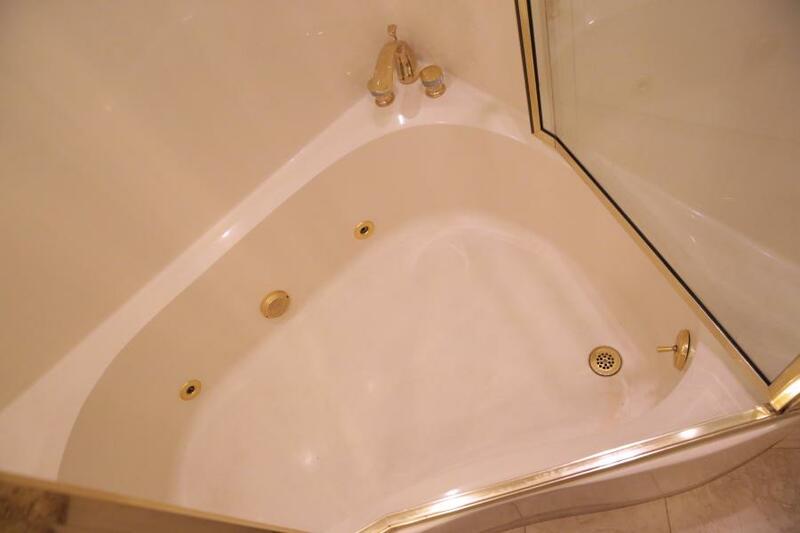 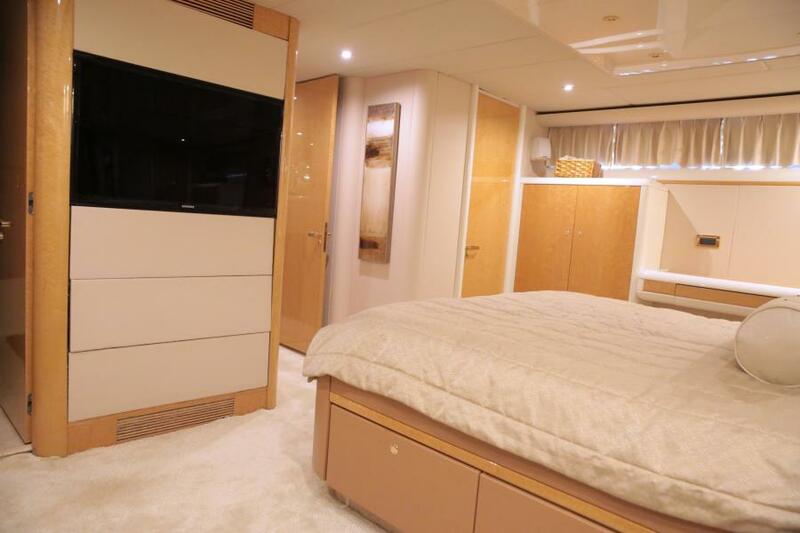 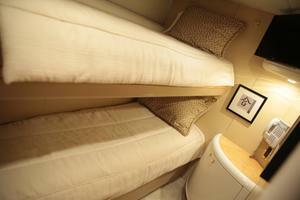 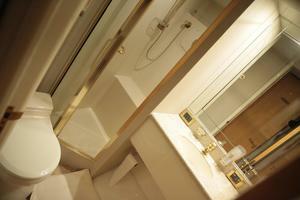 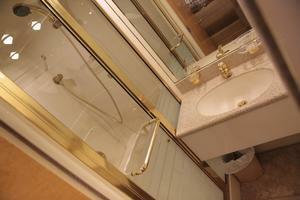 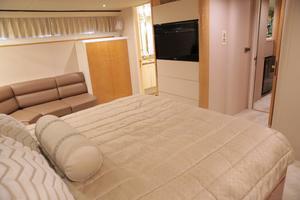 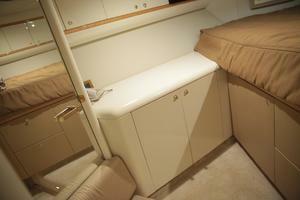 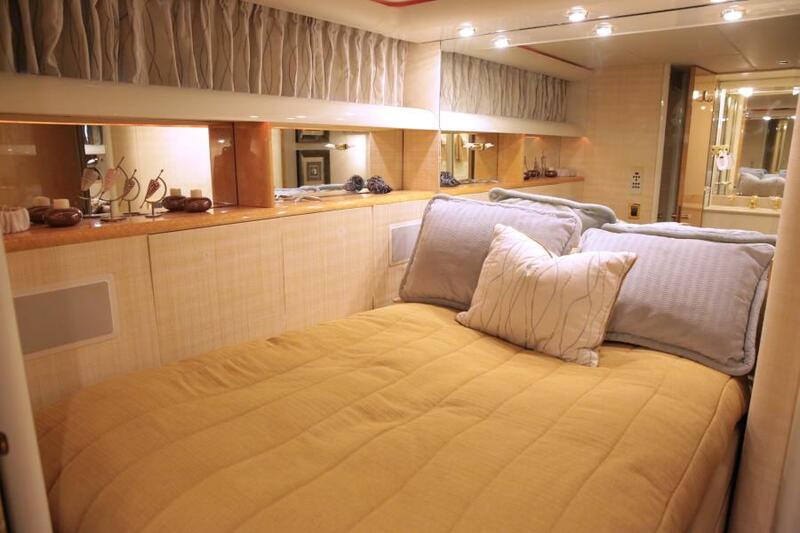 The crew cabin also has an en-suite head and shower. 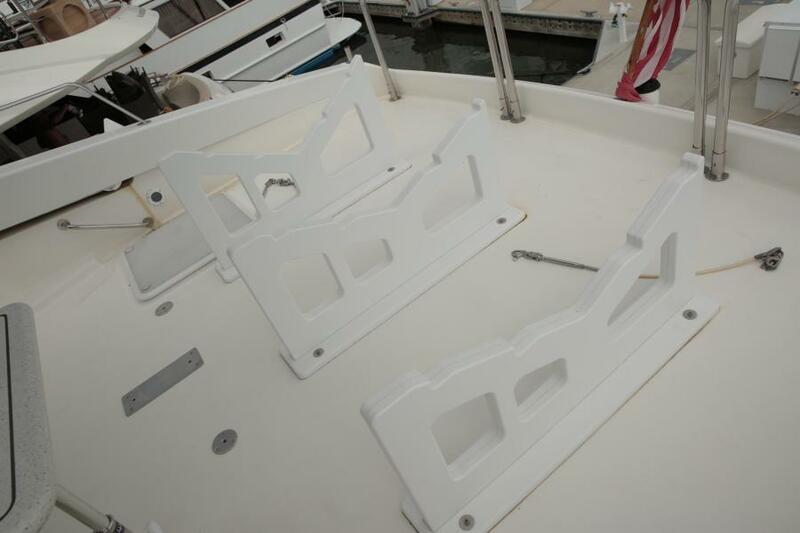 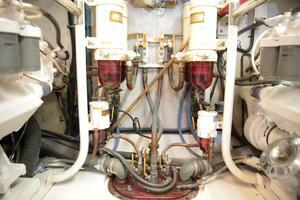 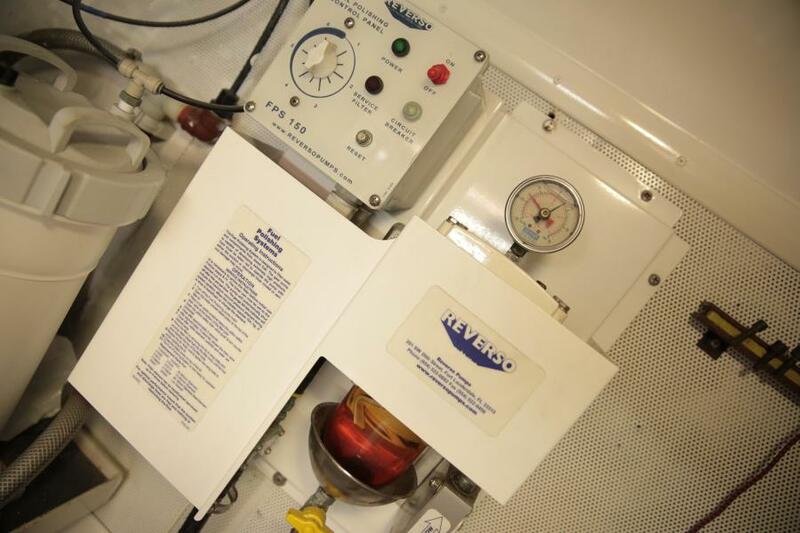 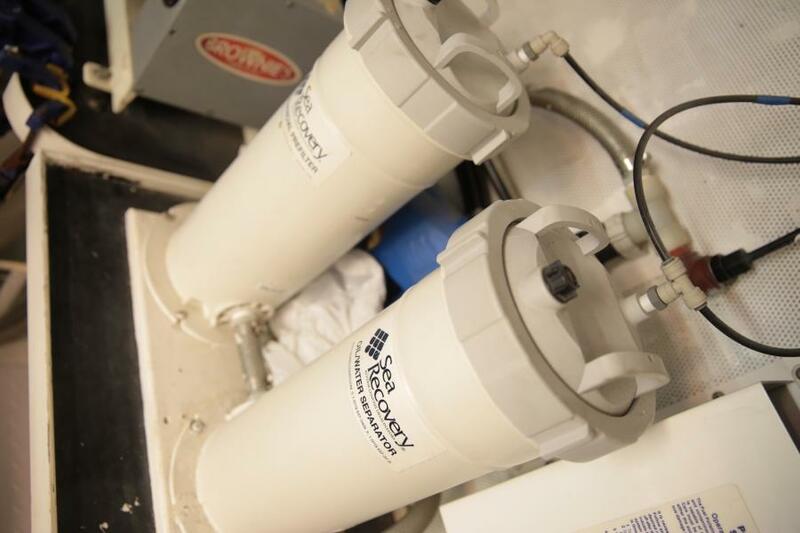 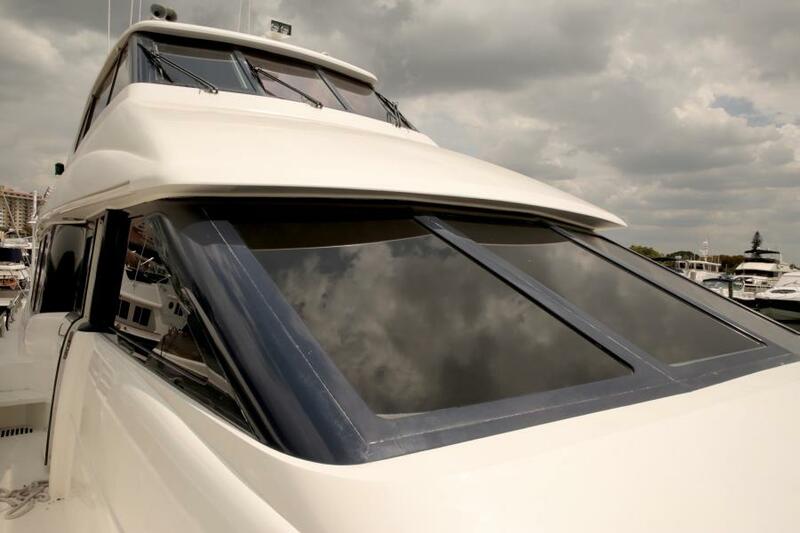 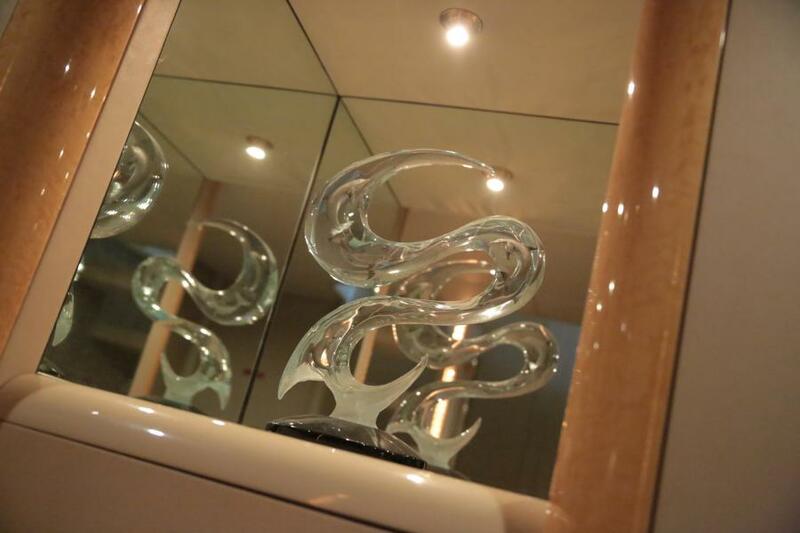 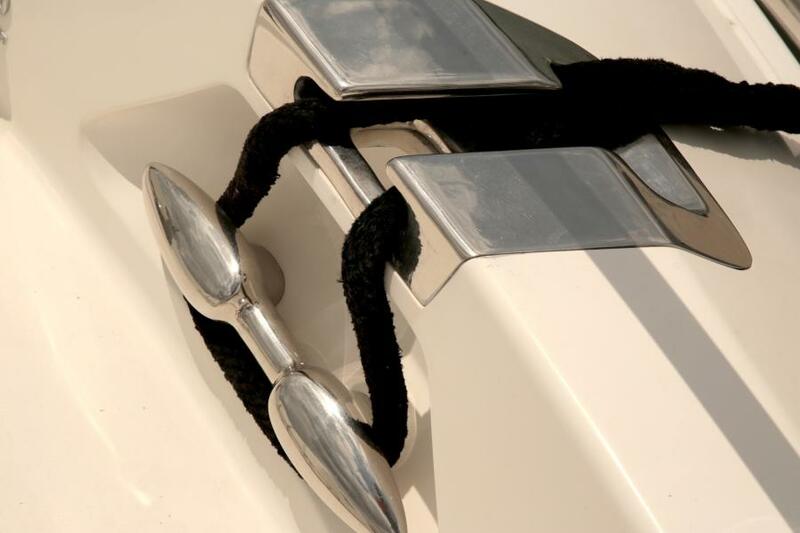 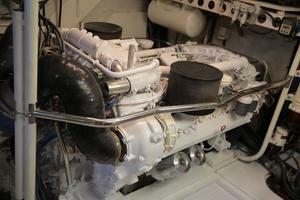 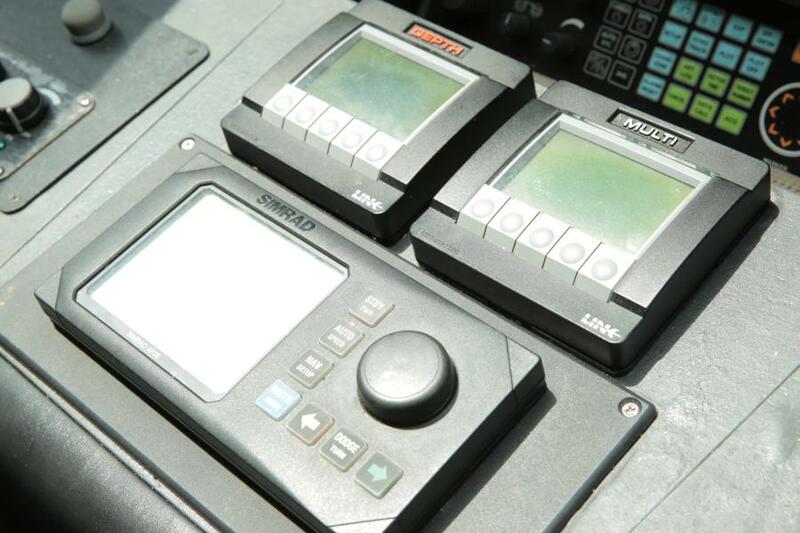 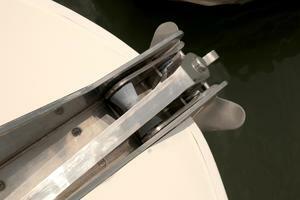 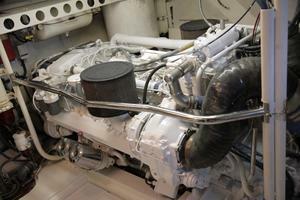 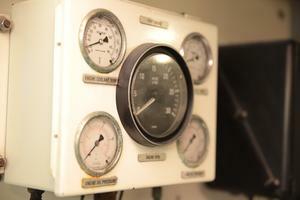 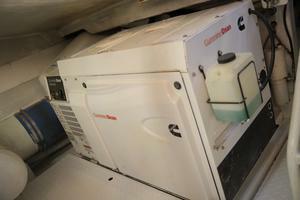 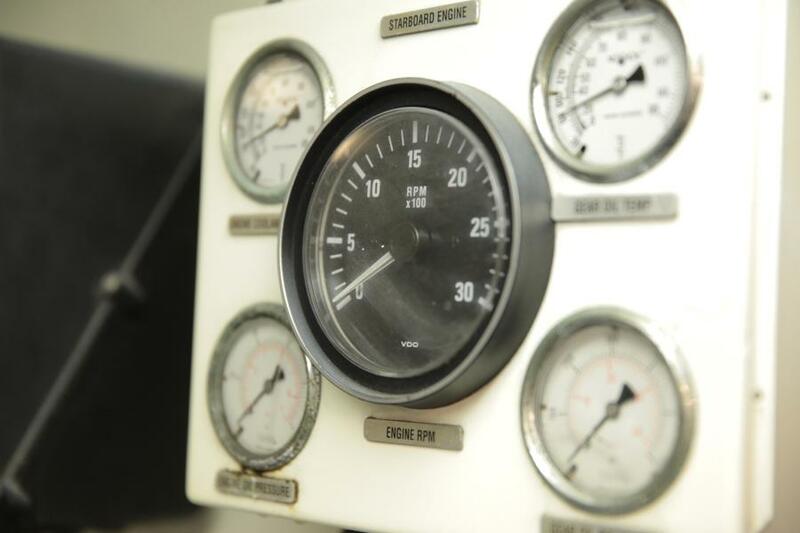 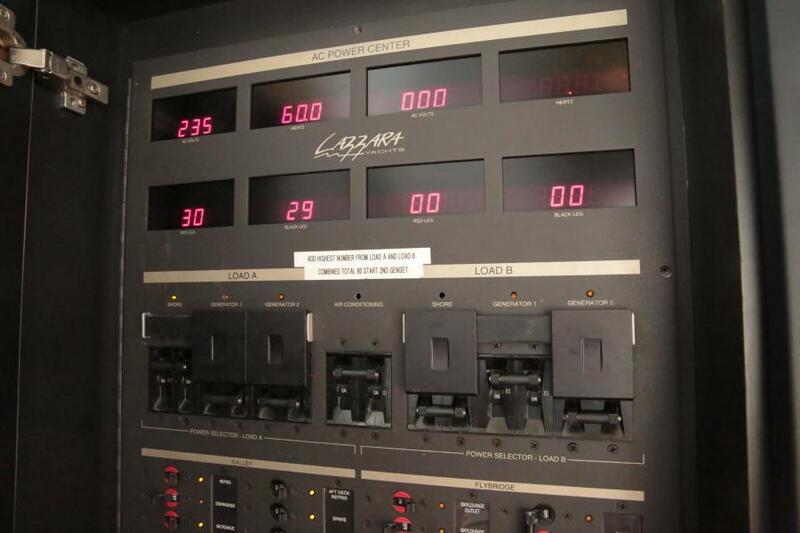 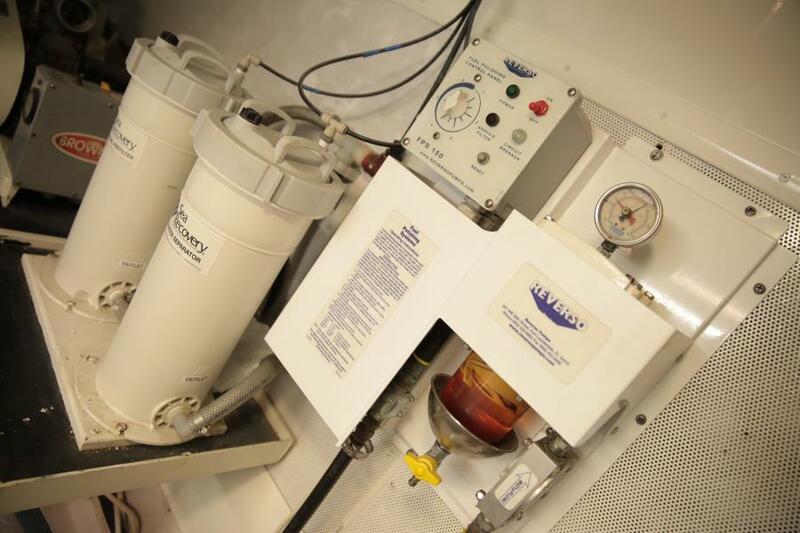 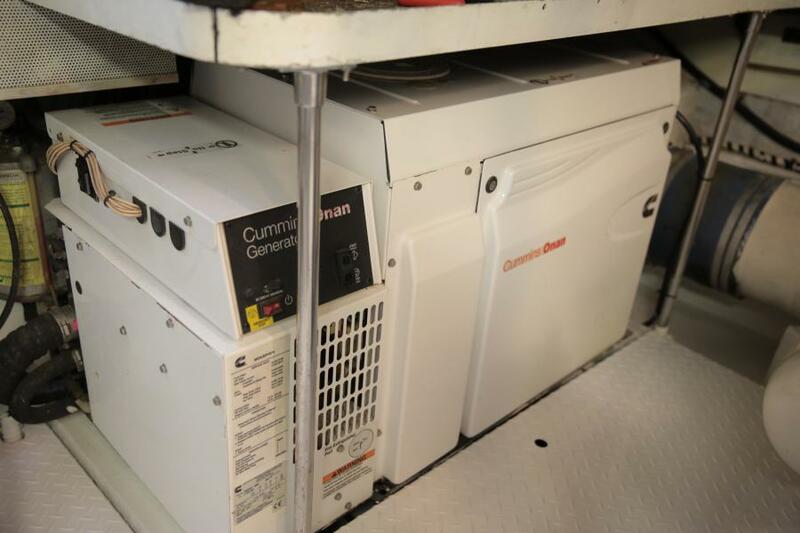 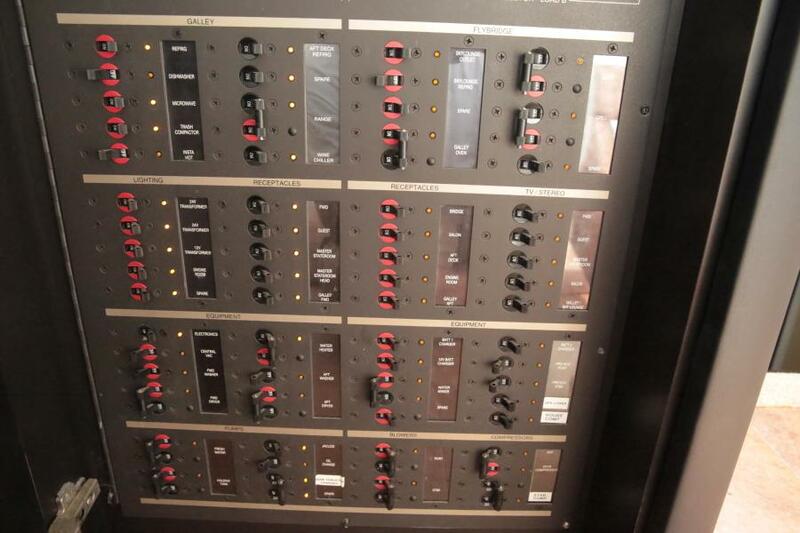 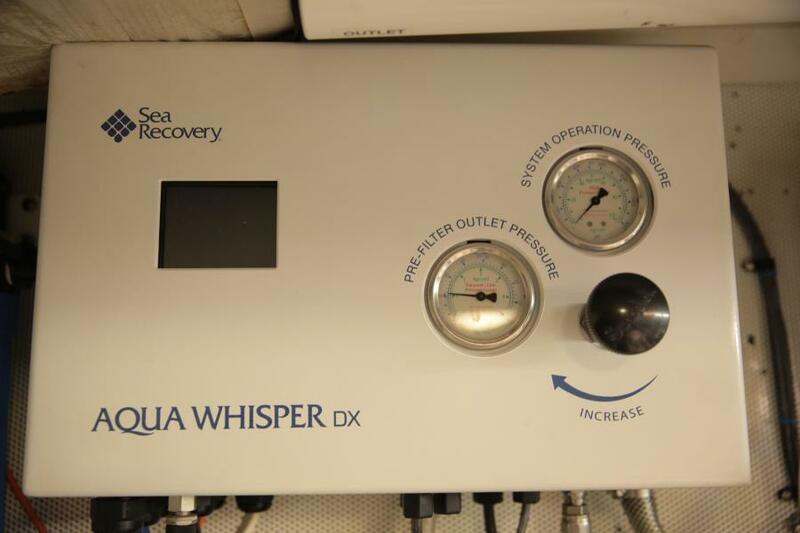 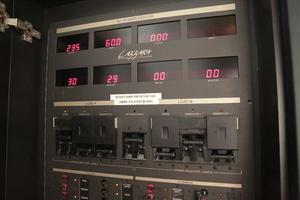 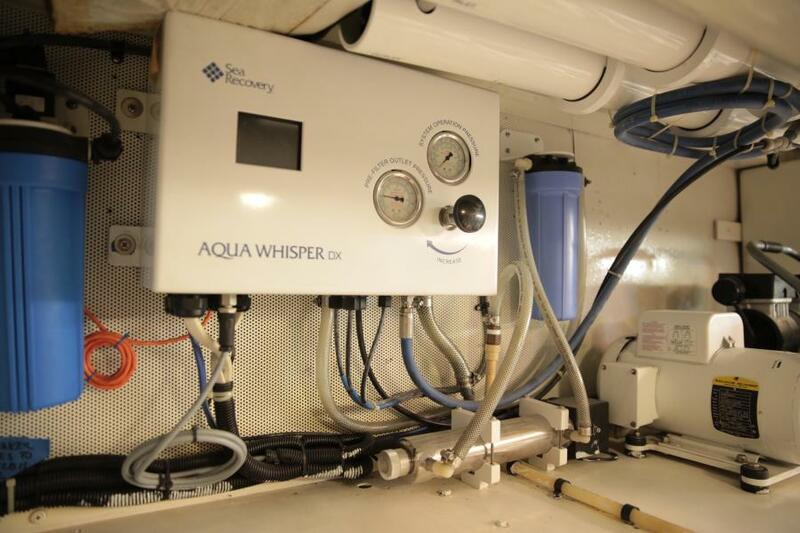 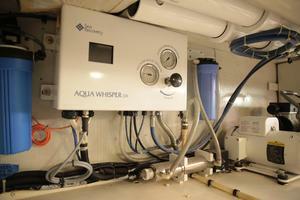 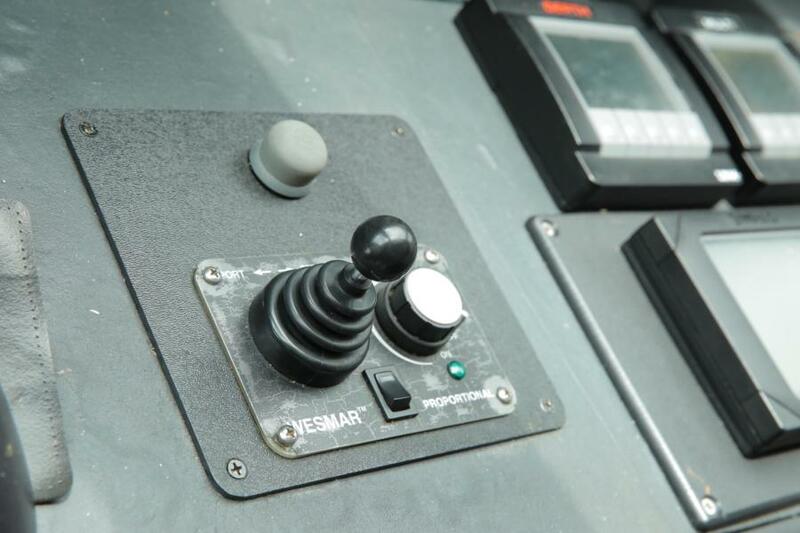 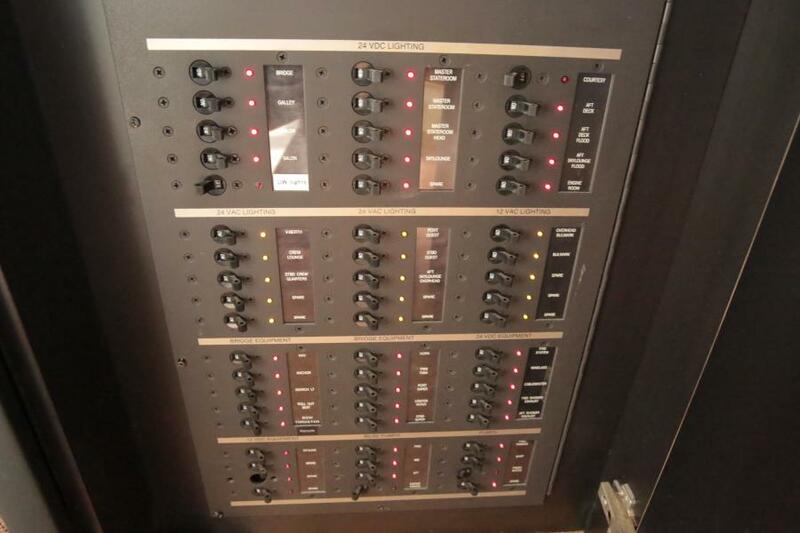 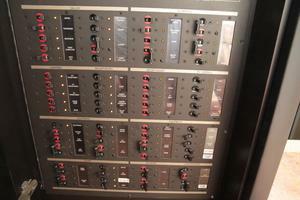 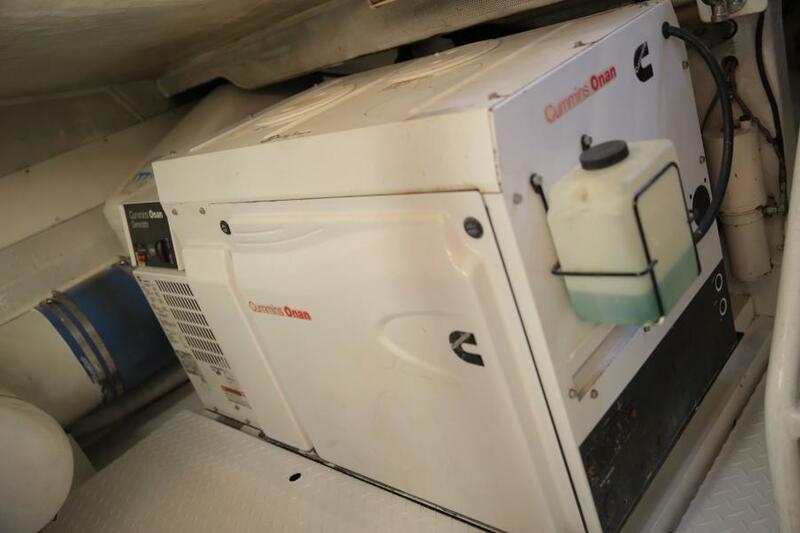 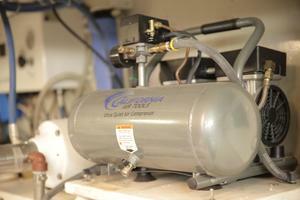 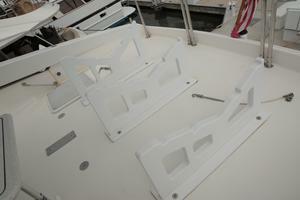 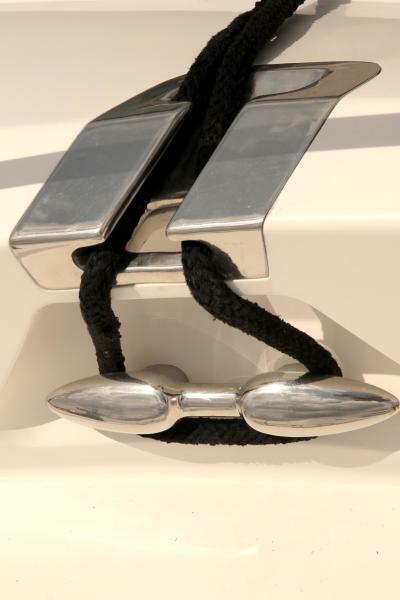 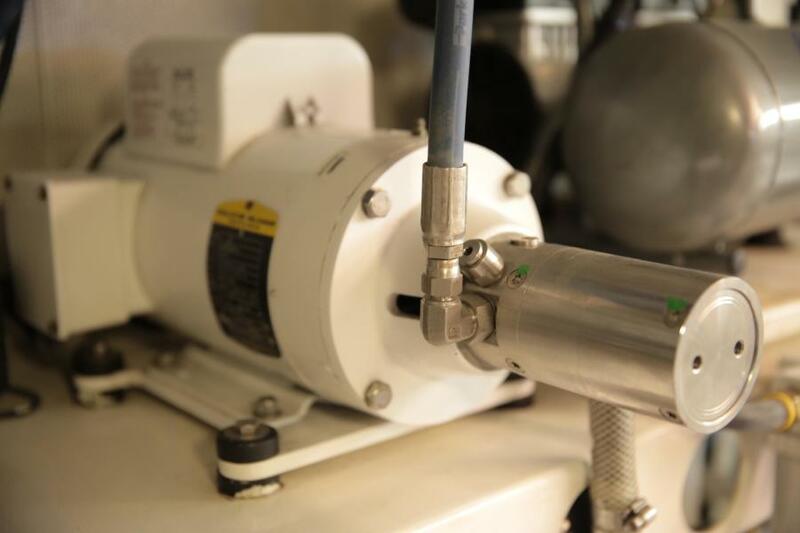 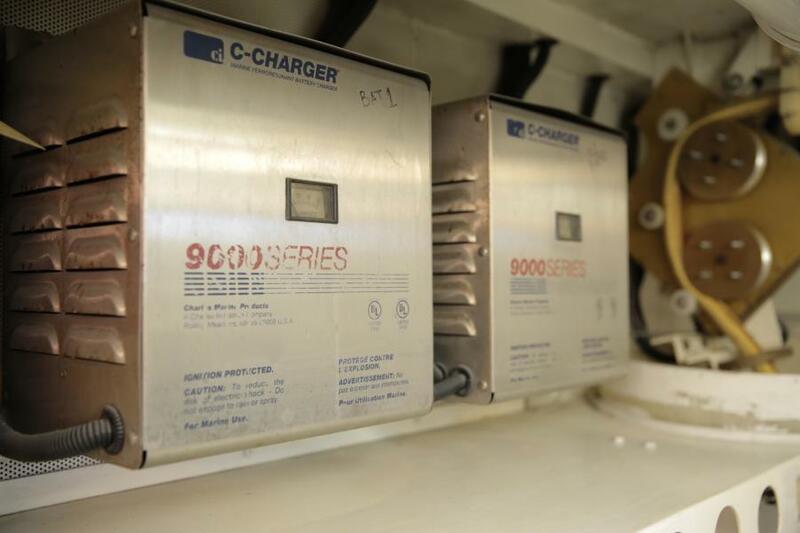 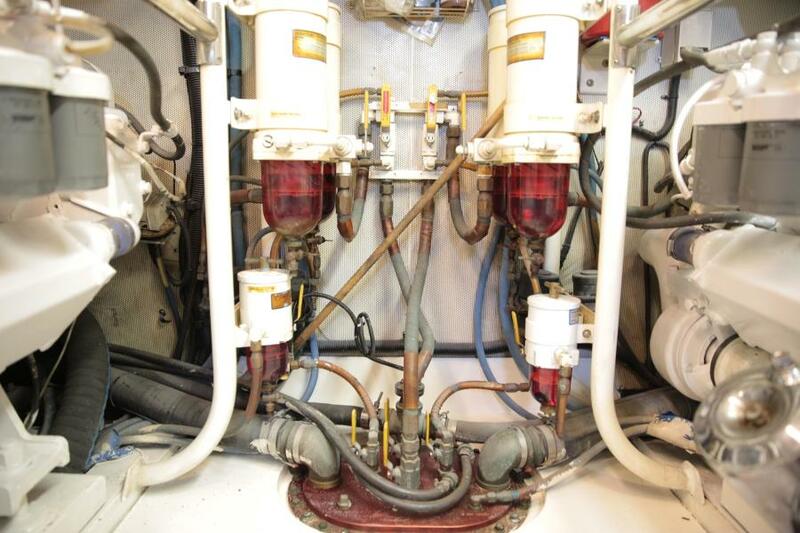 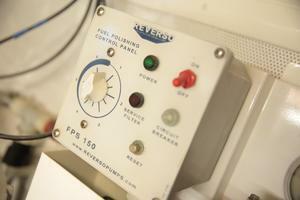 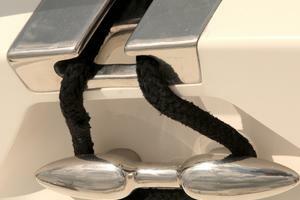 Upon purchase of Liquid Asset, the current owners had the top ends rebuilt on both port and starboard engines. 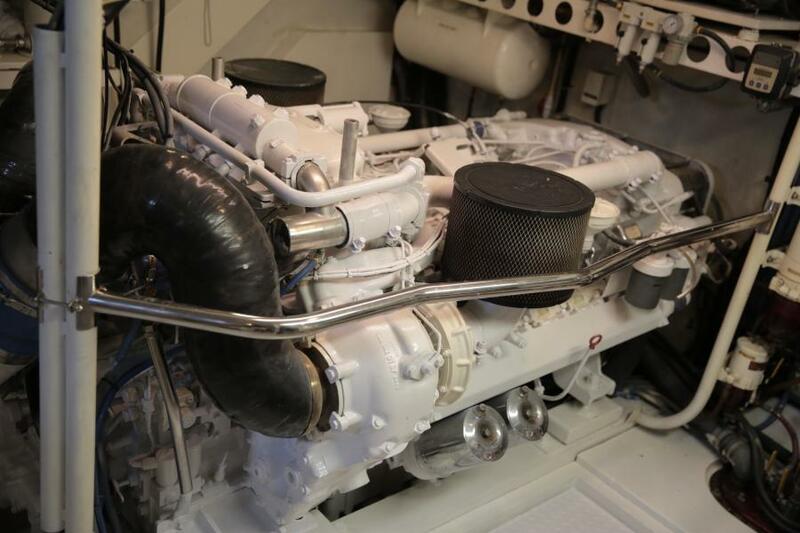 There were approximately 4,200 hours on the engines at that time.In 2016 they were forced to perform a full rebuild on the starboard engine after an unpredictable internal failure of a connecting rod.The owners have spared no expense in keeping her mechanically up to standards, the above work included. 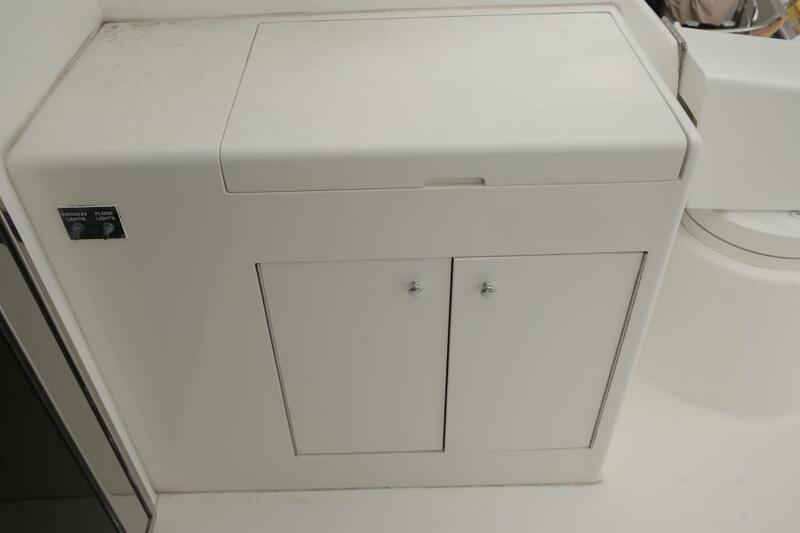 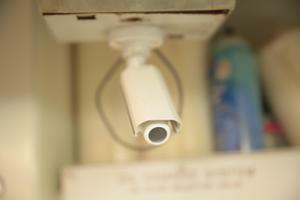 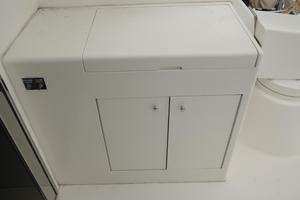 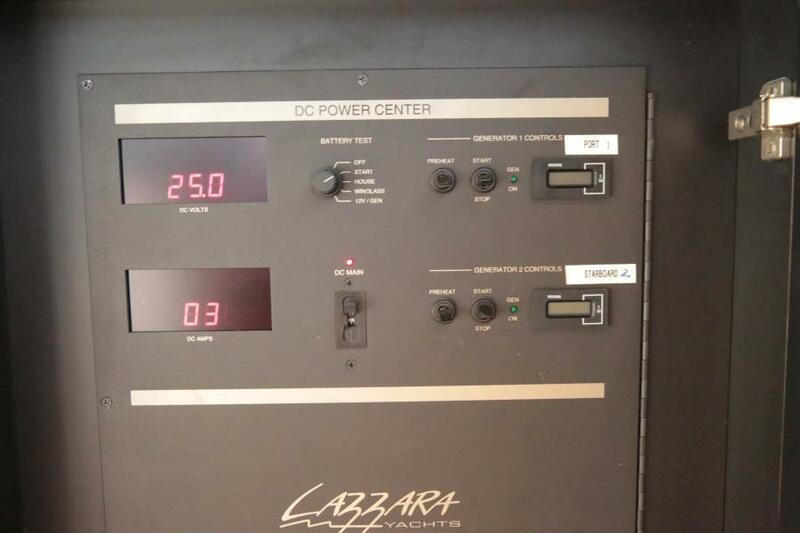 Seller's personal items will not convey at time of sale.